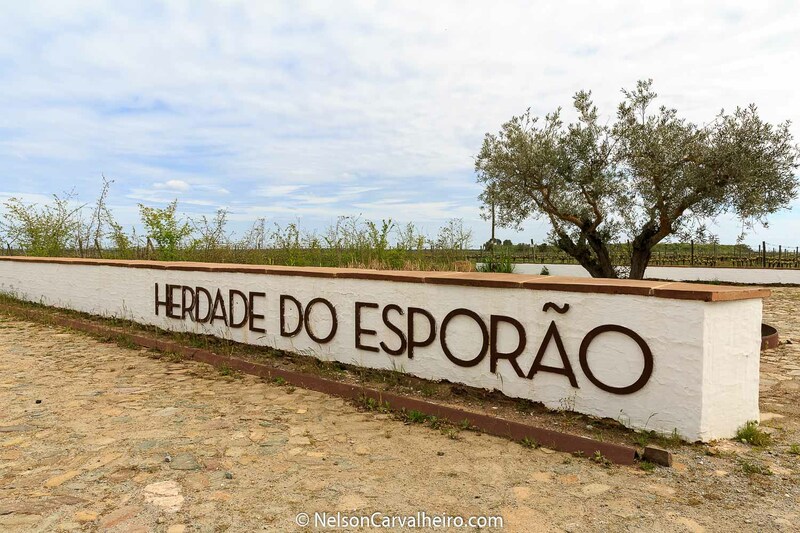 During the first couple of weeks of April 2016, I was a guest of Wine Tourism in Portugal, the main wine tourism booking portal in Portugal, in the Alentejo to write de Alentejo Wine Travel Guide. 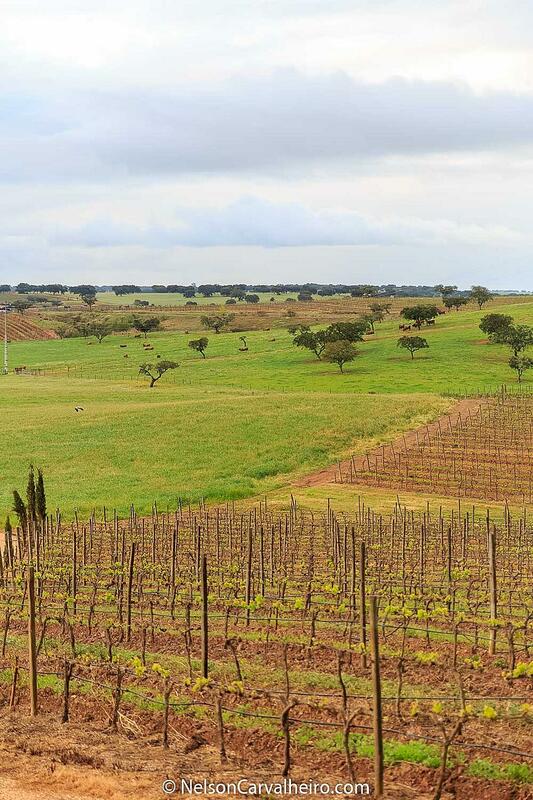 My mission was to explore what the NY Times described as the “New Tuscany”, offering you the ultimate guide to travelling the Alentejo through its wine. 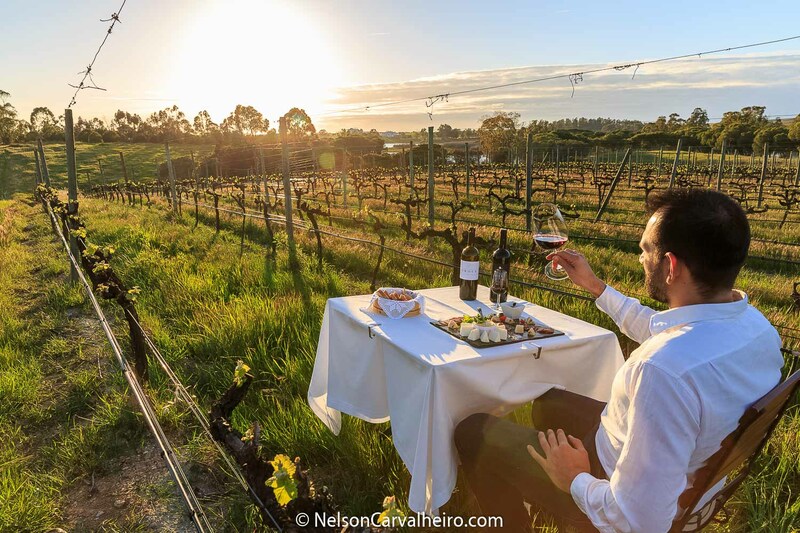 In this guide, you will find recommendations for the best wine hotels, the best Restaurants, the Best Wineries, the Best Food&Wine experiences in the Alentejo. 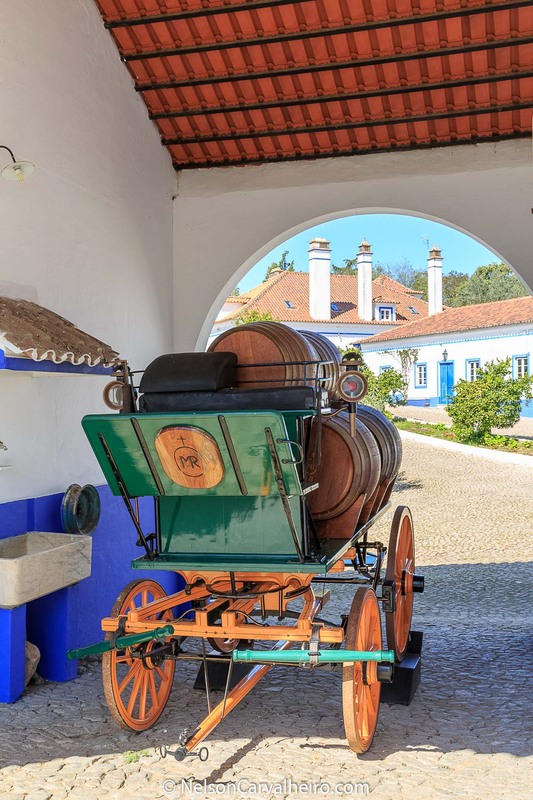 My probe into the Portuguese wine travel panorama has proven to be very rewarding, as during the last year I have managed to gather some inside knowledge of what makes the Wine Tourism Business in Portugal tick. 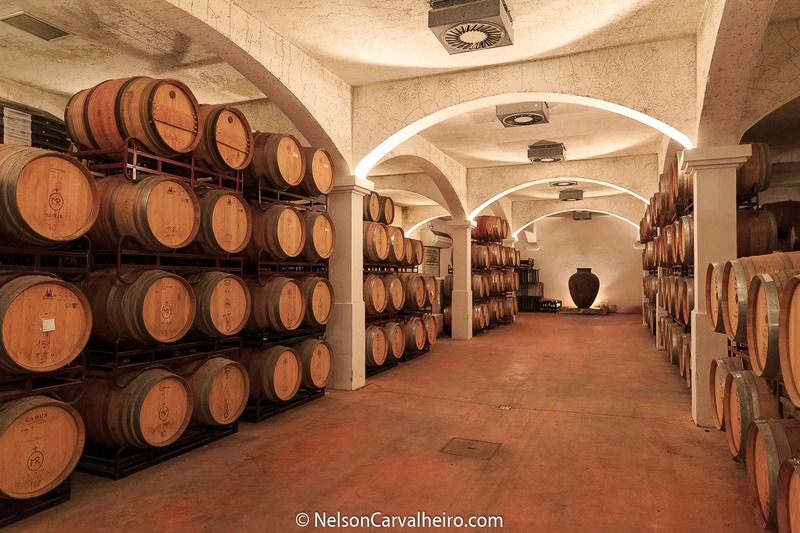 It all started with my Douro Valley Wine Travel Guide, where I explored the oldest and most beautiful wine region in the world. 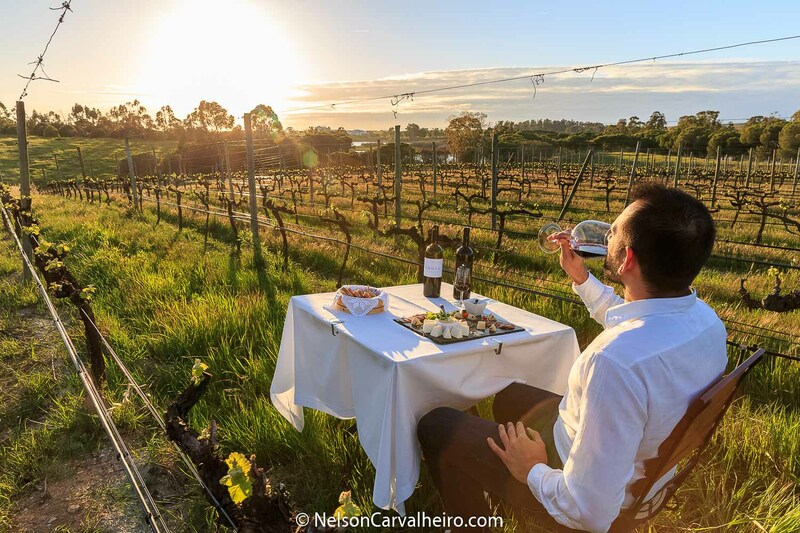 A few months later my 2016 the Year of Wine Tourism in Portugal post was coauthored with the most influential figures of the Wine Travel industry in Portugal. 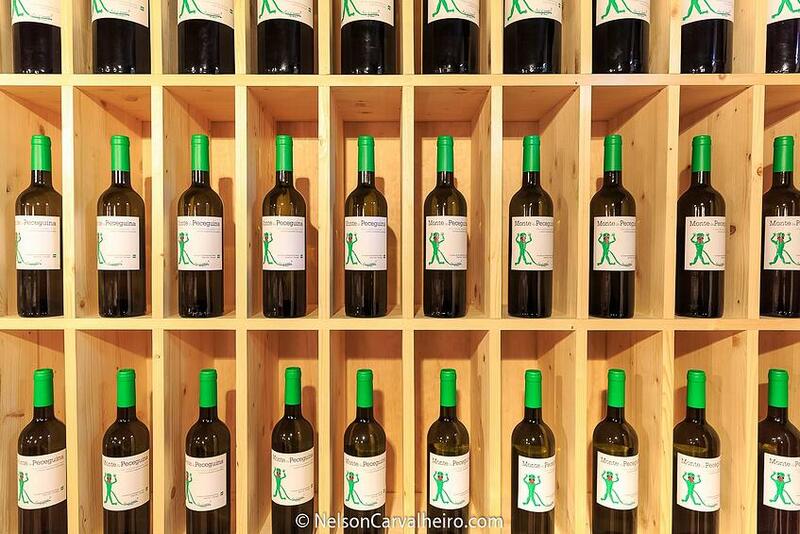 Almost on par with the Douro, this acclaimed world fame of Portuguese wines is largely due to the wines originating from the Alentejo and its sub regions. 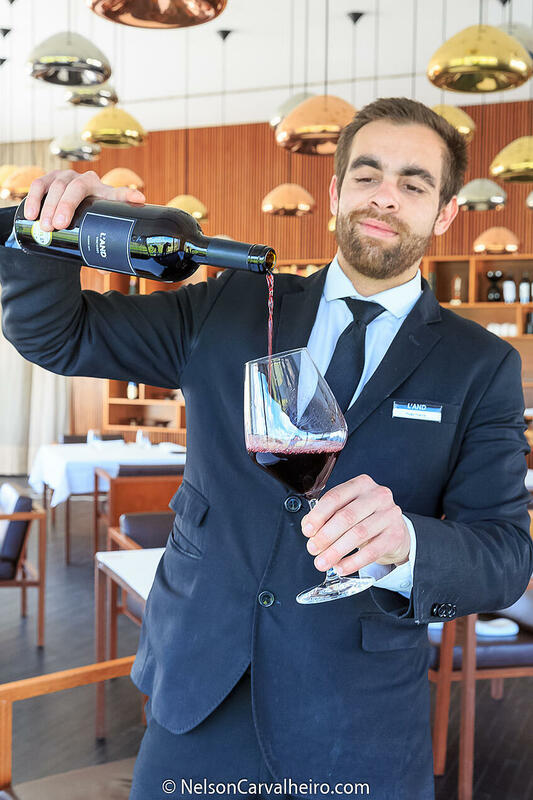 The terracotta land, tied with the almost ever present sunshine, lends the wines from the Alentejo a rich, smooth and round feel on the palate, making them easier to drink when compared to other Portuguese counterparts. Namely the wines from the Douro, wich have more minerals and acidity, largely due to the most inhospitable terroir where wine can be grown. 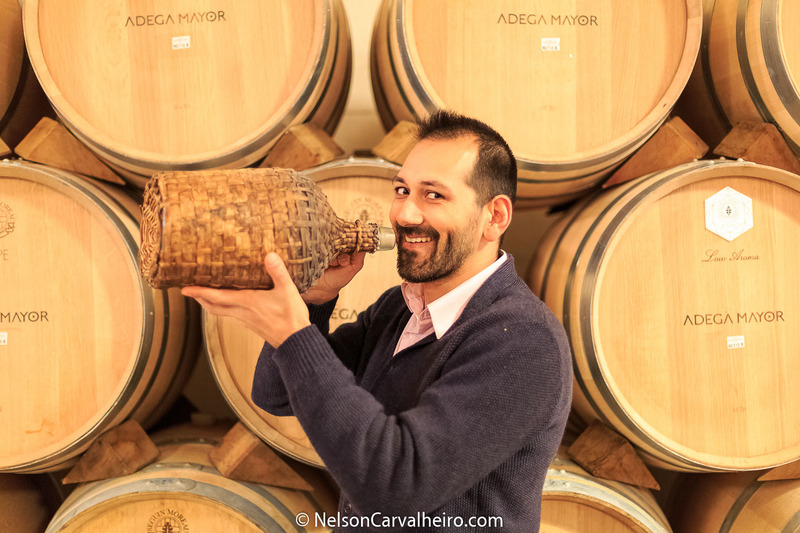 Or even the Baga wines from the Bairrada region, which have so much tannin they have been dubbed the Portuguese Barolo’s and Barbarescos, reaching life spans of over 40 years. 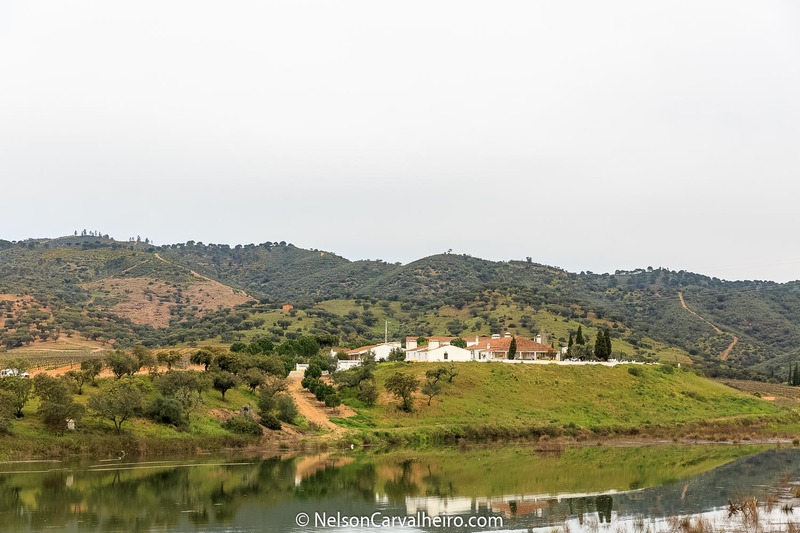 In the Alentejo everything is easier: the land is flat, there is plenty of space, the temperature ranges are mellower, you can (have to) irrigate the grapes (it is forbidden by law in the Douro Valley). 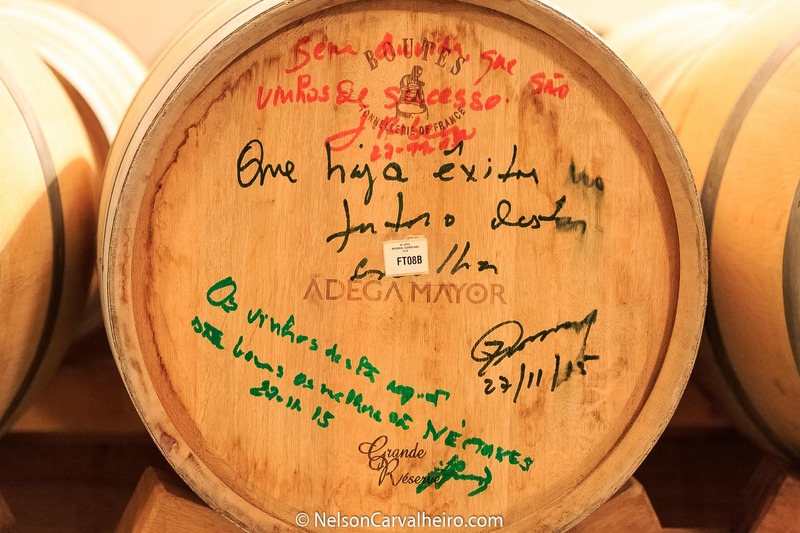 What does this all amount to: The Alentejo produces wines which are in par with the palate of Wine Guru Robert Parker and Bordeaux Doctrine of making bold, full bodied wines advocated by Mr. Michel Rolland. (Side note: check out the Anti- globalization of wine taste documentary Mondovino). 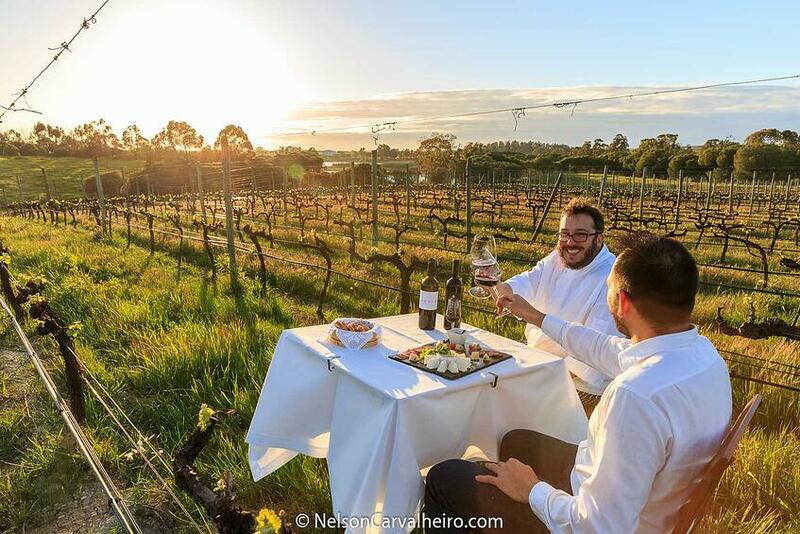 This appeal to the masses has earned it a place in the top pics at restaurants and wineries all across the globe, rivaling wines from established regions from the old and new world. Contrary to what happens in the Douro Valley, which only uses Portuguese autochthonous grapes, wine producers in the Alentejo grow an enormous plethora of grape varieties from all over the world, in addition to the Portuguese varieties. 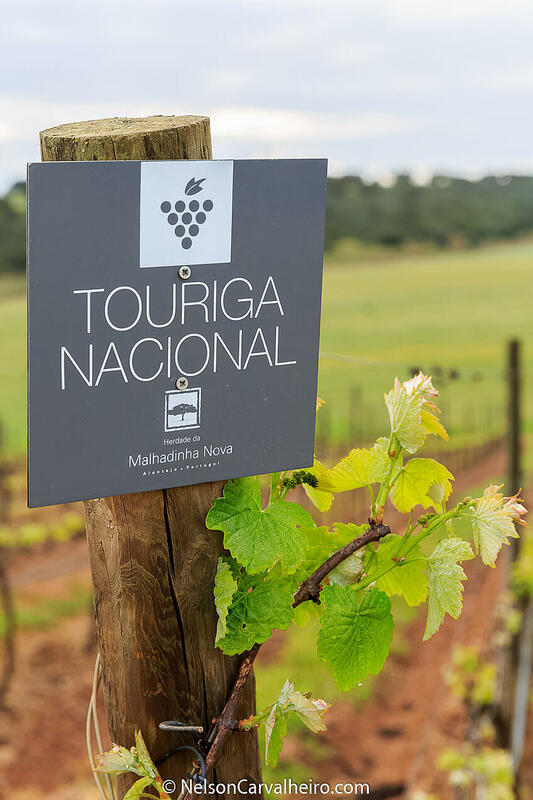 Syrah, Cabernet sauvignon, Merlot, NeroD’avola, Malbec, Sangiovese, Sauvignon Blan, Pettit Verdot, Pinot Grigio… find prosperous terrain in the Alentejo and further assist in the international likability and reach of this region. It is very easy to ask for in a bodega in London for a Syrah or a Chablis, and a bit more difficult to ask for a Rabigato or a Tinto Cão, or any other of the +500 autochthonous Portuguese grape varieties. 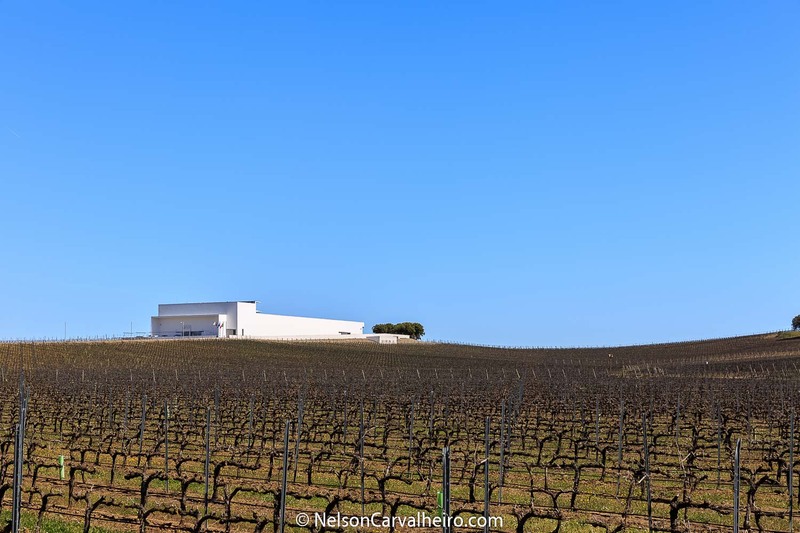 So, if you like wines with character, intense aromas and which give you a mouthful, then Alentejo is your place and this Alentejo Wine Travel Guide an essential piece of information when touring Portugal for its wine. 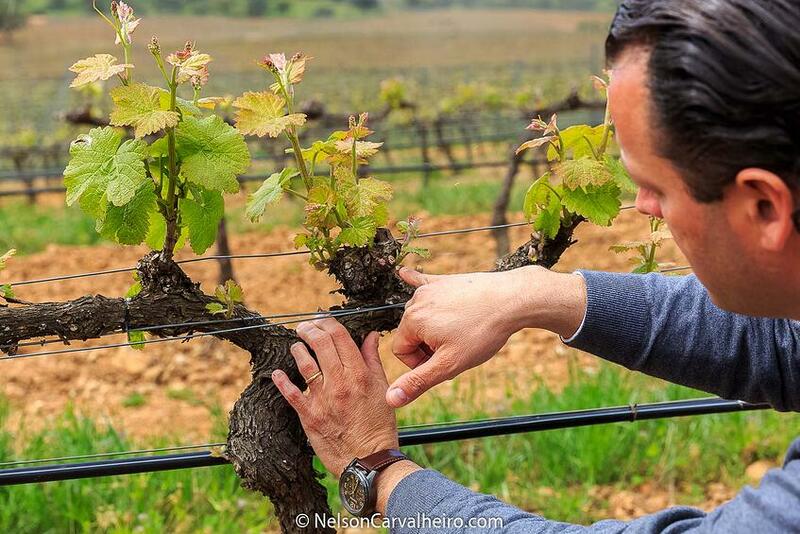 The upside is that, instead following a recipe, the Alentejo has its own way of doing wine. A slow and very personal way, one that is distinct from producer to producer, adding that extra layer of unique personality to the Wines of Alentejo, which so many other international wines fundamentally lack. 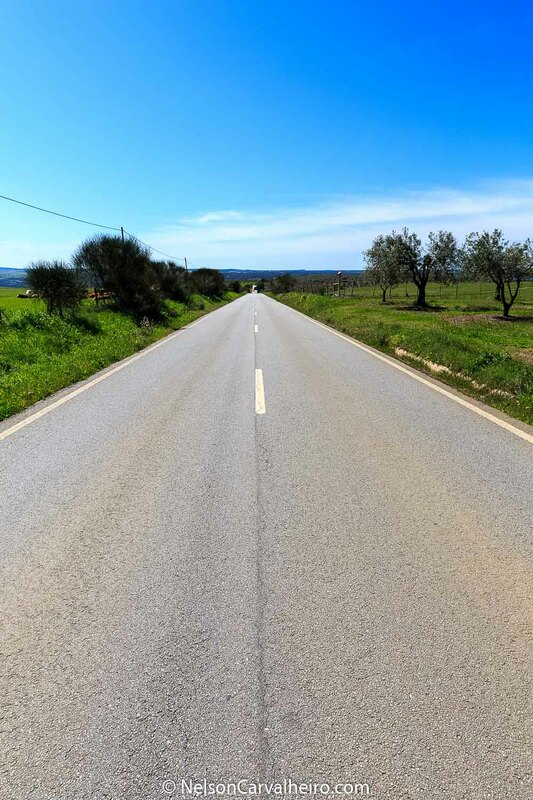 Endless strait lines and roads, regardless if you are on the motorway or on the back roads, there is just one direction. Forward. Also very little traffic. It’s just strait, strait, strait. If you are on the motorway, there is almost no police. I can honestly say that I did not see any during my 5 days in Alentejo. It’s fairly safe to drive at 160, 170, 180 km/h , especially if you are German and are used to the limitless of the Autobahn. Plus, the scenery is much nicer, as this journey was made in April 2016, at the peak of spring, so it was a never-ending horizon of green and blue. Normally, and the staple image of the Alentejo is one of terracotta hills, lending the idea that this land is quite dry. This may be so in Summer, but as you can see from the photos, spring makes all the difference. Hot Tip: Tune in to local Radio Stations, for some local heartfelt soundtrack to your visit. 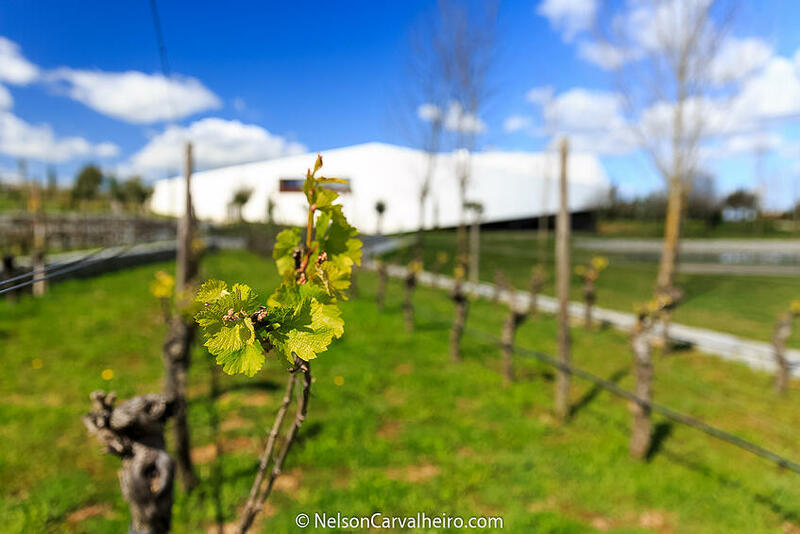 The vines are just starting to sprout, so the photos do not feature the lush green vineyards that one will find in June and July – Like I did for my Douro Valley wine Travel Guide. Regardless, there was no rain in these days, and temperatures averaged 21ºC with highs of 26 and lows of 11. 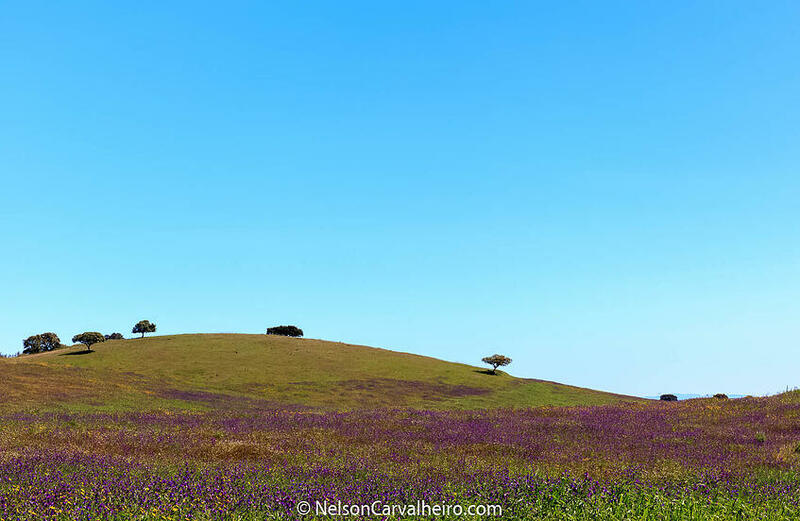 In the summer is just scorching heat, and the least recommendable time to visit the Alentejo. Tasting wine when jumping from aircon to aircon is a recipe for disaster. Aim for the sweet spot of late May and June, or join in on the festivities of the harvest in September. 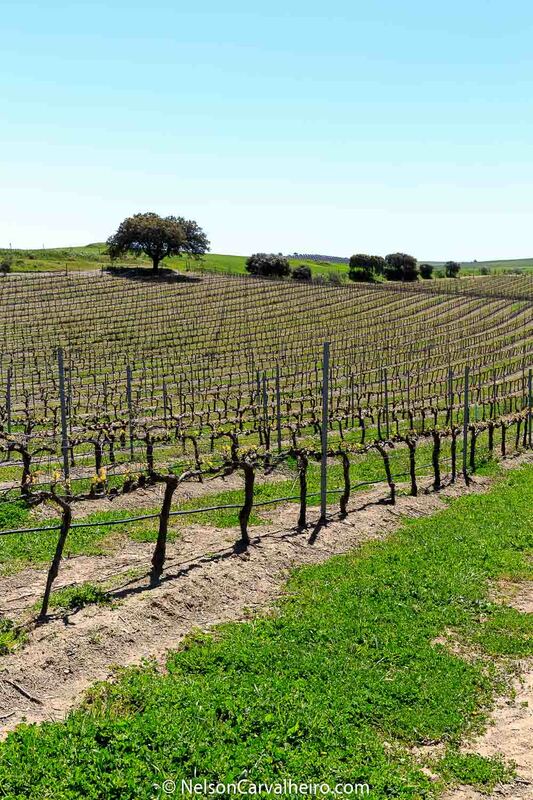 In autumn and winter, there is a lot of rain, and the vines are bare, so the landscape loses some of its charm. 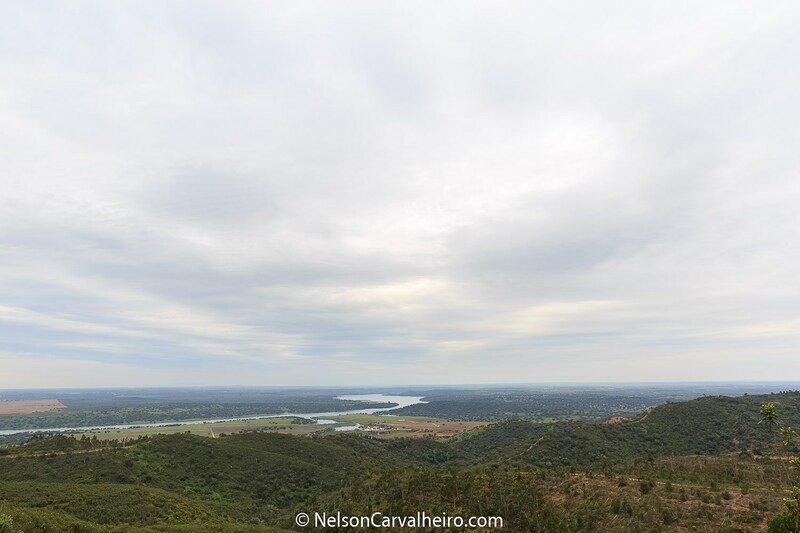 There is one upside though to winter traveling through the Alentejo. You will most probably be the only foreigner around. Somewhat of a dream if you ask me. 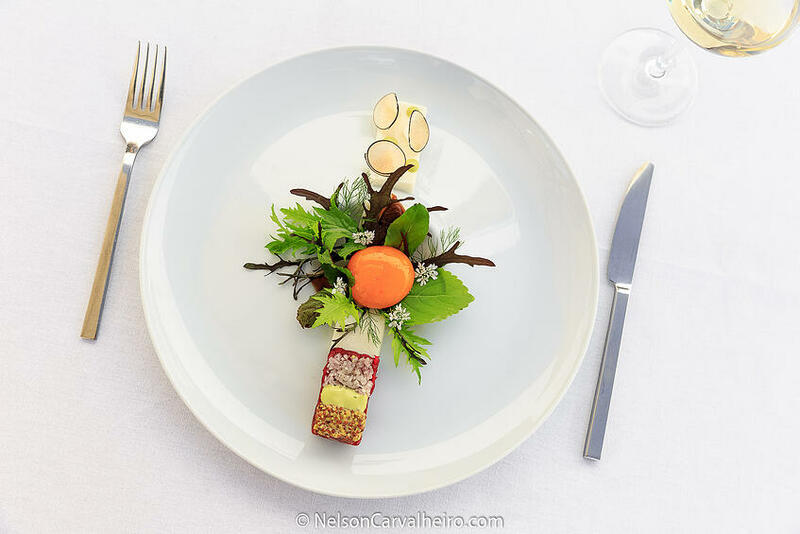 You see, what makes the Alentejo such a unique place is that life revolves around food and wine. These are the two major priorities life. Well, maybe a third. Companionship! Nothing else matters. 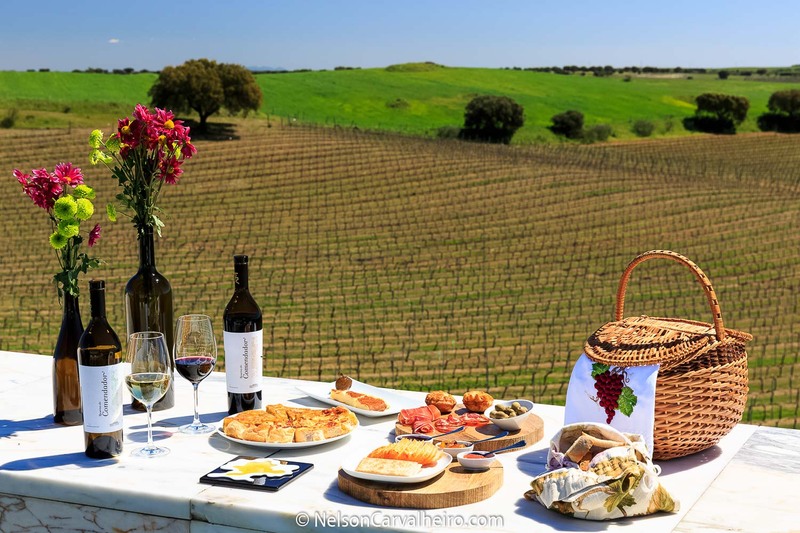 The best that the Alentejo has to offer is the connection of food and wine. It's not just that is comparable to Tuscany, it puts the region right up there with other great gastronomical destinations in the world. I was lucky to have found the Alentejo just on the breaking point of the mini food Food&Wine revolution, where it is no longer just the old ladies who have cooked all their life and hold all the secrets to the cuisine of the Alentejo. A new breed of young male chefs are making their name heard across the territory and across the Portuguese food scene. It right at this very moment that the Alentejo is starting to define itself to as a must go to place in food and wine travel panorama. Until now it was up and conning, but from this year onwards it has become a must visit location. The whole idea of the revamp which the Alentejo gastronomy is going through is based on the idea that the food from the poor has become fashionable and interest. Old recipes based on the idea of taking the most of what every producer would give you have sparked splendid creations, some making its way to Michelin Star quality. 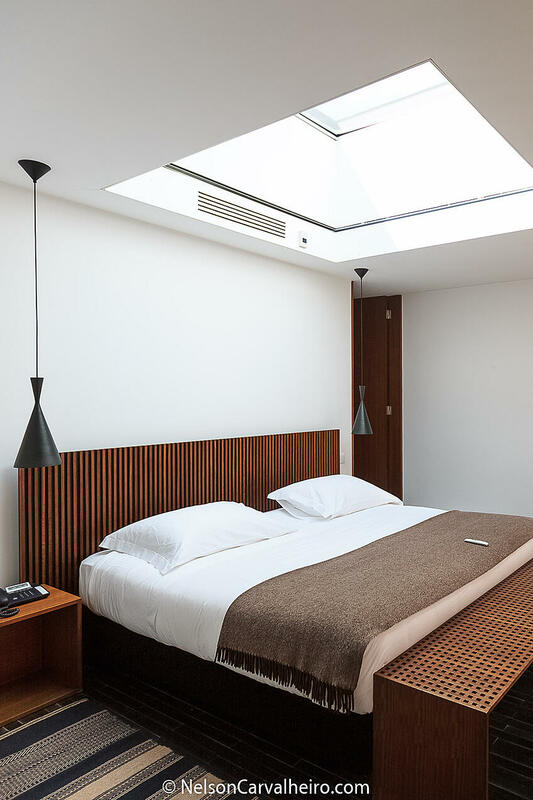 A number of boutique hotels have sprouted out in the last 5 years helping to cement the region as on par with other established wine destinations like La Rioja, Bordeaux or Tuscany. It is always fantastic to see how well this was made where the local entities and culture, design products and heritage were always present when these boutique and special hotels were built. 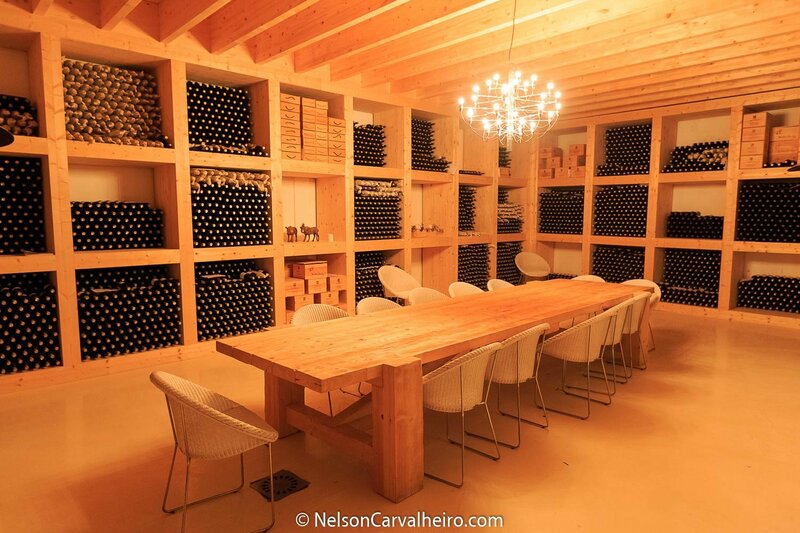 I am listing the best ones here, but you can seek more unique wine hotels at the Wine Tourism in Portugal booking portal. 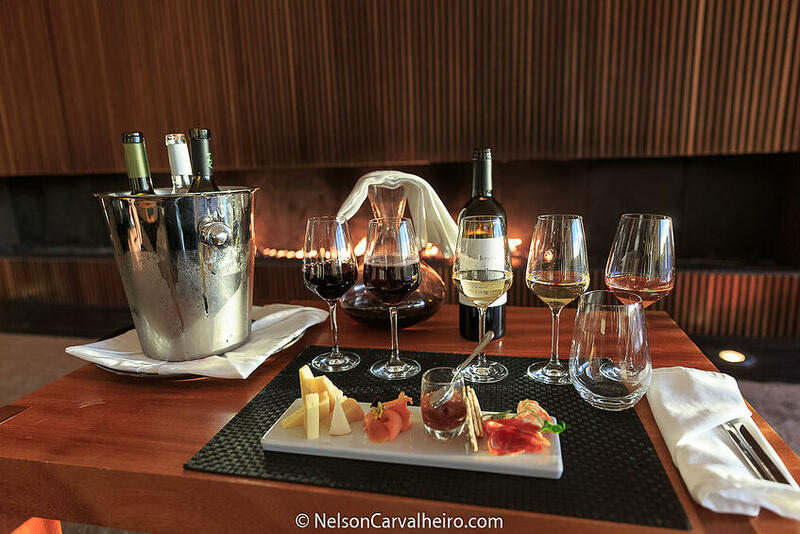 For other hotel option in the Alentejo you can use the Wine Tourism in Portugal Hotel search tool. 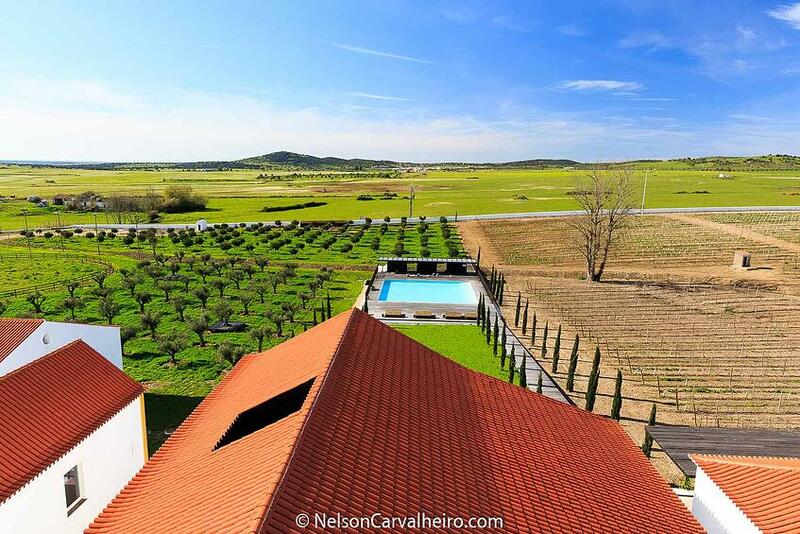 L’AND Vineyards is a part of only a hand full of luxury full service 5 star properties in Portugal which were designed and built around wine. 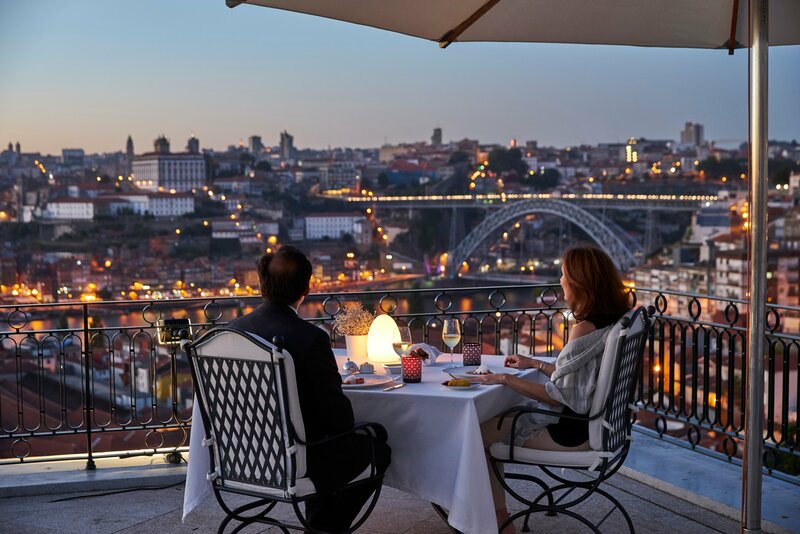 The big difference is that, unlike The Yeatman Hotel, the Douro Vintage Hotel and the The Vine Hotel, this one actually has vineyards around it, and has the cellar amidst its main building. 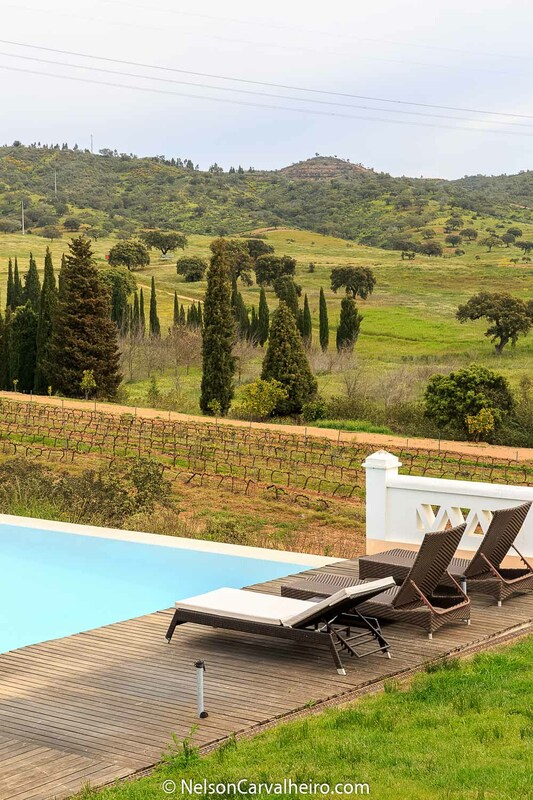 Note: I purposely left out other wine hotels which I love, like Quinta da Pacheca, out of this statement as they are not full service 5 star properties. So, very in a very truthful manner L’AND Vineyards is a "Wine Resort" that offers a unique rural experience in an exclusive and contemporary ambience. Looking at the photos, one would think that L’AND is set in a far way vineyard, one that takes hours on back roads to be reached. 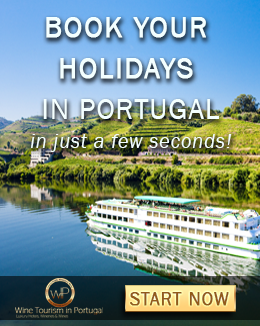 Actually it is just under an hour’s drive from Lisbon airport. 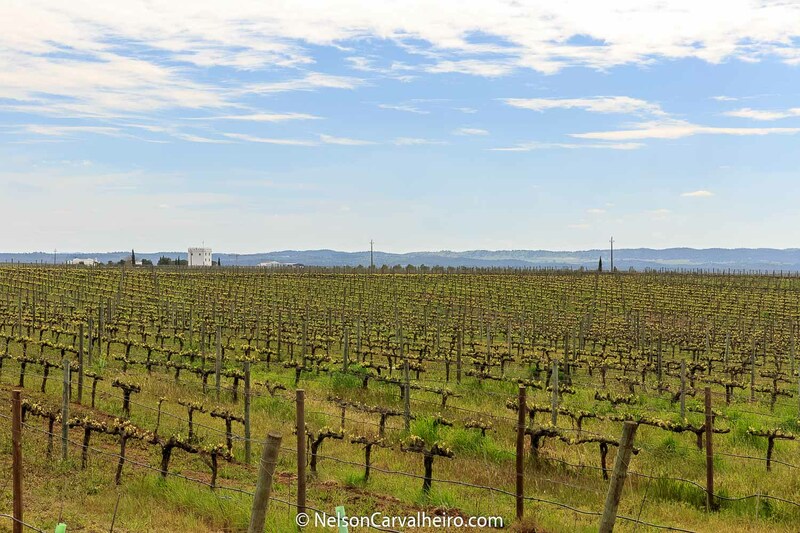 As you come off the A6 motorway and make your way to Montemor-o-Novo, you will begin to see a gated and protected vineyard. It is within this secluded landscape that L’AND charms its guests. 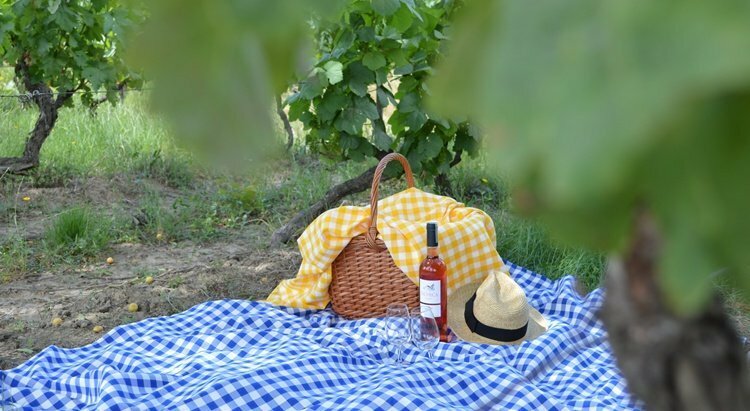 The drive from the gate to the main building takes a couple of minutes, and here is where you can witness this “life within the vineyard” feeling that L’AND works so hard to portray. The central building is a design spaceship, surrounded by a lake (used to water the gardens and vineyards) and the outside deep blue tiled pool. Two water features which offer plenty of water mirror photo opportunities. Besides housing the winery, the “mothership” houses the reception, library, the restaurant, the spa and the indoor heated pool. I personally liked the opening within the front desk overlooking the fermentation tanks in the middle of the building. A sight best enjoyed when they are being used during the harvest. 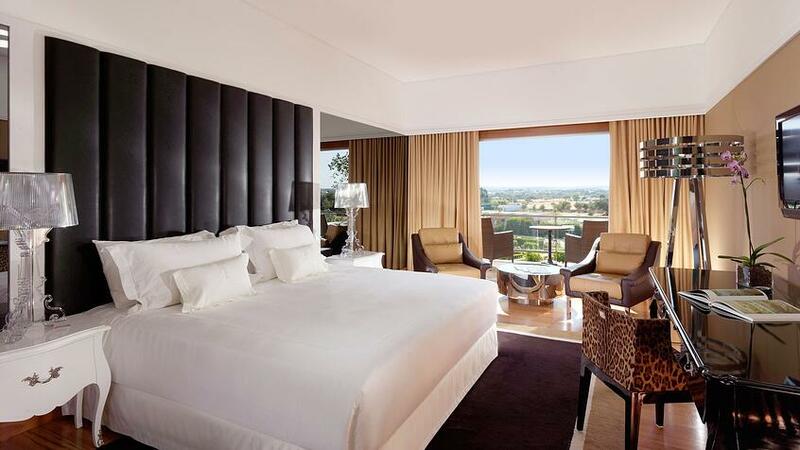 Besides the L’AND Restaurant, the best thing about the L’AND Vineyards hotel is the sky suites. These are detached from the main building, so there is no noises or confusion to hassle your down time. Plus, you get a bit of a walk through the vineyards on your way to dinner, breakfast or to a vino therapy massage like the one I had. They are called Sky Suites, because they give you the impression of sleeping "under the stars" when you open on the bedroom’s ceiling. I can vouch, for the spectacularity of this feature, but please be patient. It takes the human eye about one hour to adjust to complete darkness, so be a little patient and you will eventually see some starts. Something easier said than done, after you have been tasting wine all day long like I have. I stayed in Sky Suite 6, being told by Daniella from the Front Office that it was the best one, so if you read this, please ask for this particular suite. This suite has over 120 sqm, a private patio with a heated plunge pool. The entrance to the suite also features the most magnificent climbing Jasmin and an outside fireplace which can be lit from the harvest, all the way through spring. 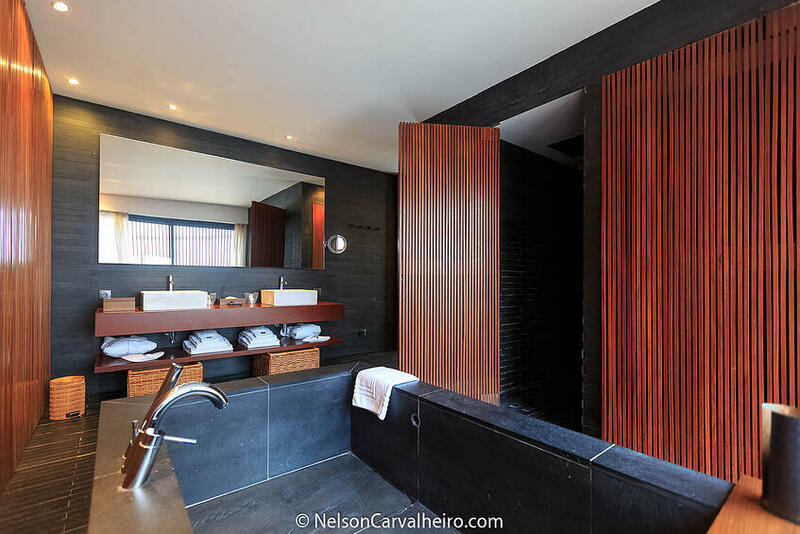 The interiors were designed by the architect Marcio Kogan and are made of slate natural stone and wood, ornamented with a set of art pieces and exclusive furniture and fabrics. I can tell you that the design of the rooms, does not compromise for one single bit its comfort, with me not having to fuss around with the pillow to be able to sleep the standing prof of this acclamation. L’AND only produces a very small amount of wine. It is just for their clients and for the consumption of the L’AND restaurant. 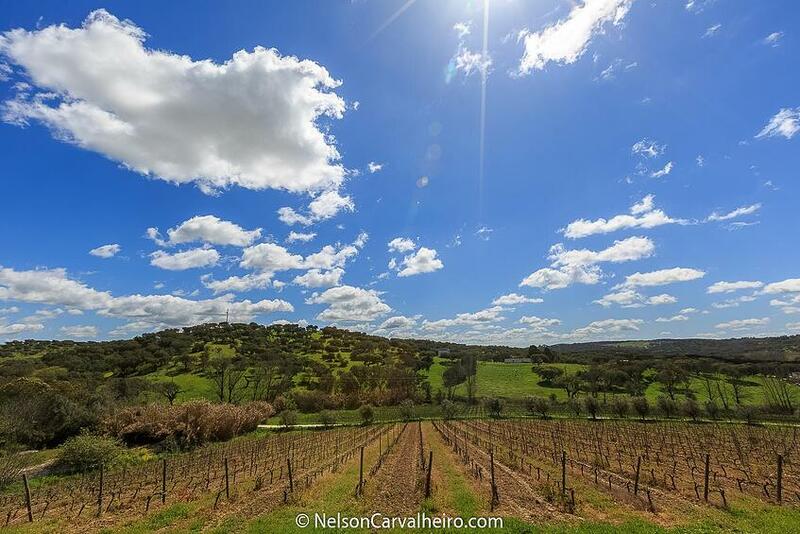 This is evident when one looks at their total vineyard area – just 6 hectares. For the last 5/6 years they have averaged about 9000 bottles of production per year. Still, in this micro vineyard they planted 4 varieties of white grapes: Antão Vaz, Arinto, Roupeiro and Verdelho and 5 varieties of red grapes: Touriga Nacional, Touriga Franca, Alicante Bouschet, Sirah and Cabernet Sauvignon. 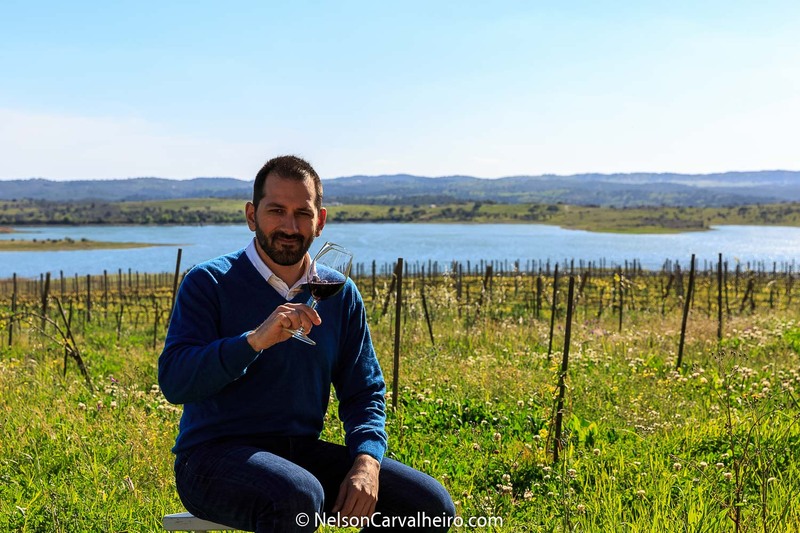 Gonçalo explains how the Verdelho grape is Portugal’s go to variety when it comes to producing white wines, and how the Arinto variety takes it fullest form in the Alentejo terroir. Antão Vaz is an autochthonous grape from the Alentejo (from the Vidigueira area) and surely the one with most representation on the white wine market from this region. Rather than transcribing the technicalities of the wines, or what goes well with the selection of cheeses, salmon, jam and charcuterie from the region, I will tell you about the man. It most likely that you will meet him if you ever visit L’AND and I think it is important to know the man behind the choice of wines at your dinner. 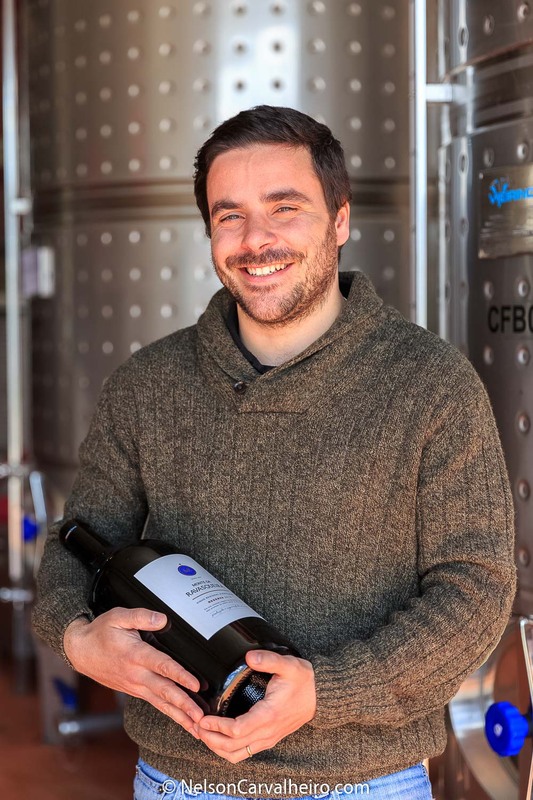 Clearly Gonçalo is a professional who loves is job and since he is a local, he speaks very heartily about the wines from the land where he was born. 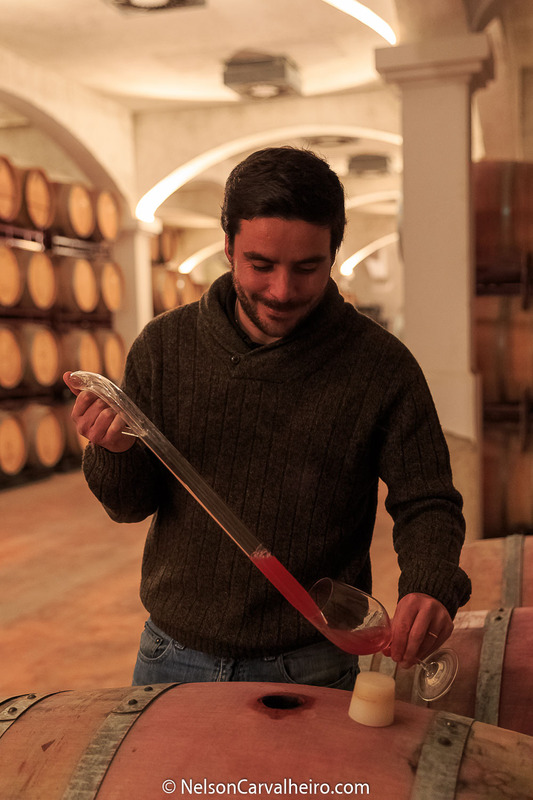 “The Alentejo has so much raw potential, so much untapped resources to offer to its visitors, that I am afraid that the recent wine tourism spot light that is being shined in this area, will eventually lead to mass tourism and spoil the one-to-one, quiet and long lasting experiences one has with the territory” says Gonçalo. He goes on to explain that guests who comes the L’AND are very knowledgeable about wine, and very specific with what they are looking for. 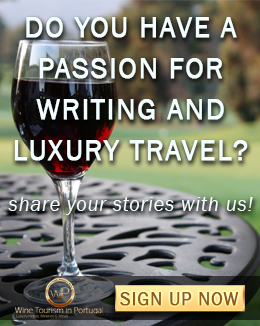 These are clients who are making their 5th, 7th of even 10th wine tour, so they are mostly interested in three things: what is local, what is genuine and something new that they never tasted before. This is the approach, Gonçalo takes in choosing the wine that make up the list at the L’AND Restaurant. 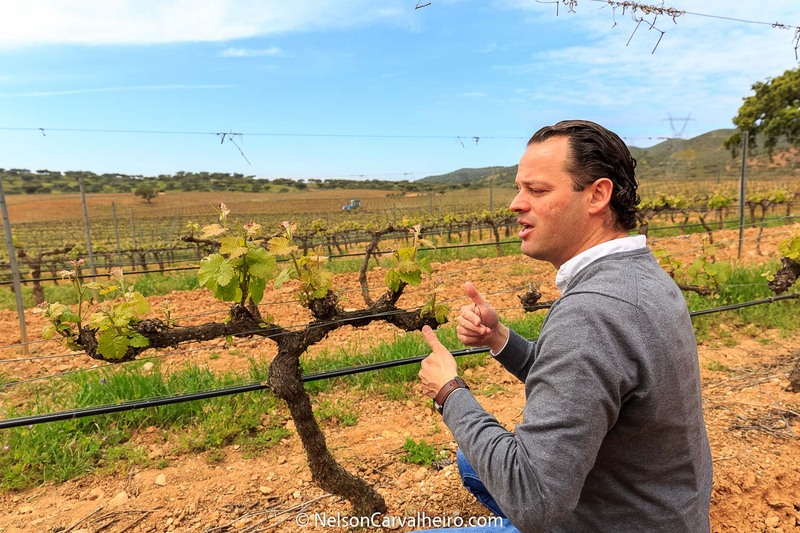 He tells me that he also travels a lot within Portugal to taste wines and to meet the producers, so don’t try to outsmart him on Portuguese wines. Now he just needs to gain some international experience and he will be someone to look out for in the future. Good Luck Gonçalo. Like Mario Morais (General Manager of L’AND) mentioned in our dinner the night before, if you want to get a Michelin Star in a Hotel restaurant, you have to start with breakfast. I absolutely loved this quote, and it will be one that wish to refer to every time I visit an aspiring property. For those who think that coming to the L’AND for breakfast means that they will get a mile-long buffet, they best head back to Lisbon. The items on display are fairly reduced, because the majority of the food is cooked to order: just for you. I can’t begin to tell you how much I love this, and how much this plays to my personal wishes for what a proper luxury breakfast should be all about. The organic detox juices are another good example: the green one is: spinach, cucumber, ginger, granny smith apple and lemon. The red one is beetroot, orange, carrot, celery and red apple. These come in very handy first thing in the morning to cleanse your tongue and your thirst from all the wine drinking of the night before. Another great example is their Granola, which Miguel Laffan boasts about, as he makes it himself. The pancakes come with local cottage cheese (requeijão) and honey from a honeycomb from a local organic producer which is on display in the breakfast room. Even my poached egg came on a warm cast iron pan. Precious…Also to be noted, this was the only place in my whole journey where I was served a proper latte macchiato for breakfast. 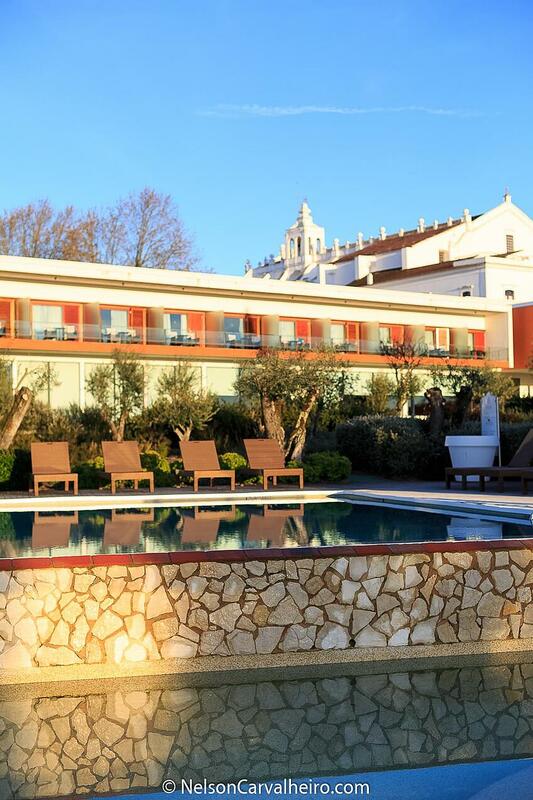 Built in the XV century, Convento do Espinheiro was been one of my favourites Heritage to Hotel Conversions in Portugal. As you will see further ahead, I have dinned and stayed here in the past. Quite a few times I might add. 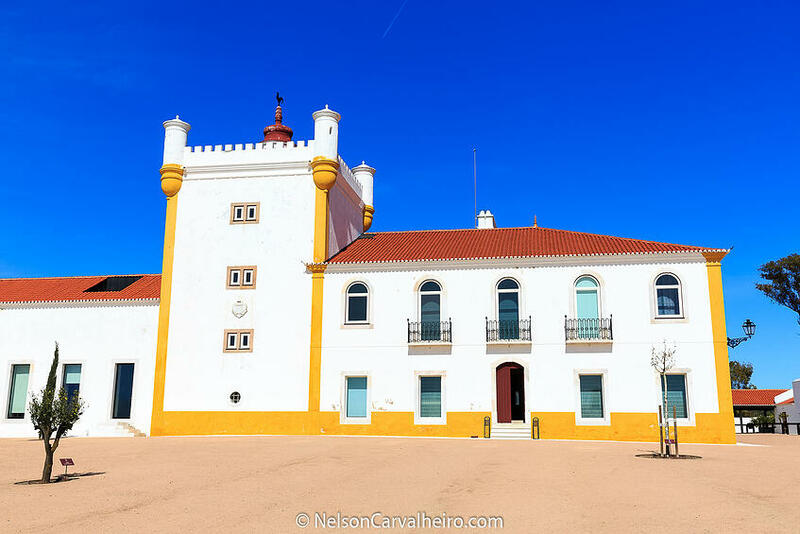 I always loved to stay here, as it is almost like you are living the life of the Portuguese Royal Family, when they used this convent as their home every time they were in Evora. Plus, it is a living museum, with sacred art portraits and statues. 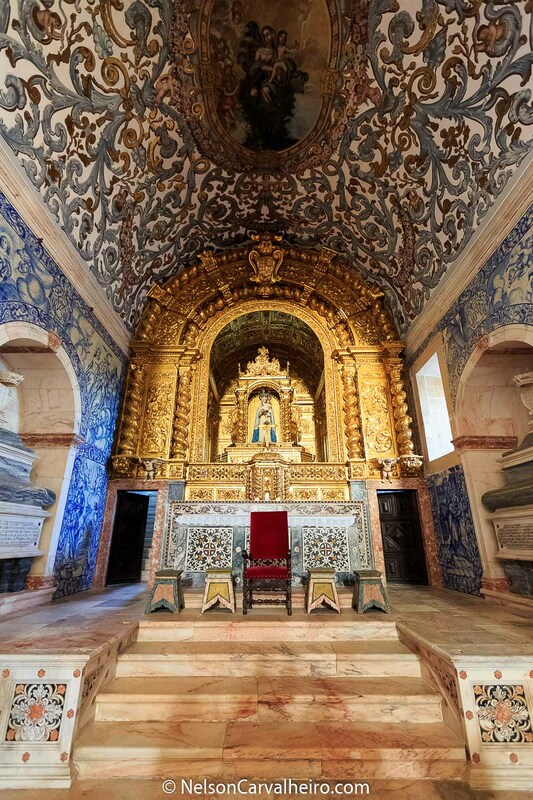 The convent even has its own church, with walls lined with Portuguese azulejos and ceiling frescoes. Luxuriously redecorated, the Convento do Espinheiro is today considered a national monument, that works with renown brand Luxury Collection of company Starwood Hotels & Resorts. This ensures quality and consistency of service delivered by the team lead by Maria Carapinha, the Hotel’s General Manager. 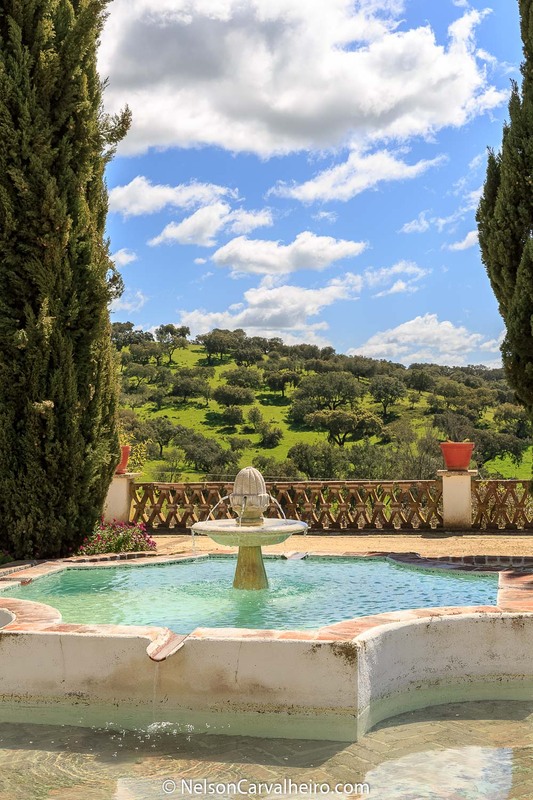 This Hotel is also inserted in a sumptuous garden of 8 hectares, where guests can wonder in privacy and take the most of the soft Alentejo Landscape. 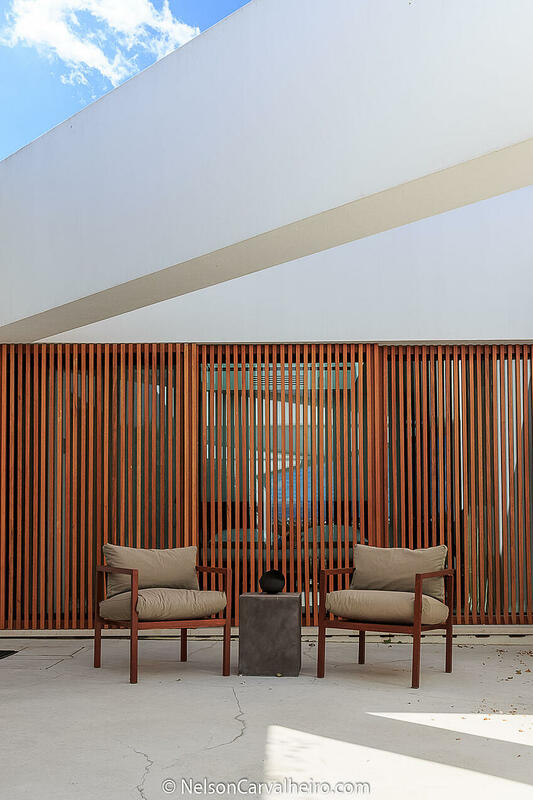 Brilliantly fitting the old and the new, Convento do Espinheiro has added a new “design Section”, with the addition of 36 contemporary rooms with views to the pool and the interior garden. This was where I stayed. Inspired by the 1950's, the Design guest rooms welcome guests with a balanced combination of modern decor and 15th century heritage in a spacious living area. Design guest rooms are all located in the new wing of the hotel; with a modern design to reflect the glamour and luxury of the 1950's and showcase stunning views of the resort's vast landscape. On top of all of this and what I love more about this hotel is the Divinus Restaurant and the work done by Chef Bouazza Bouhlani. 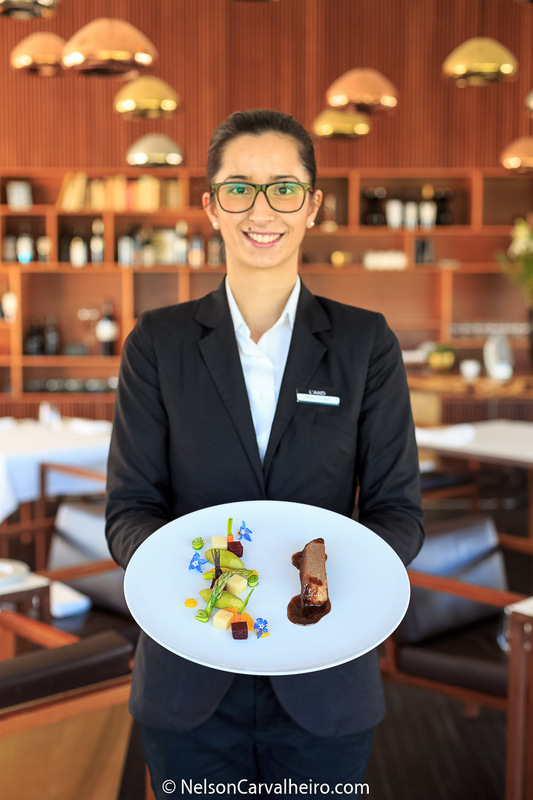 Converted from the the convent’s ancient wine-cellar, Chef Bouazza presents the Guests of Convento do Espinheiro genuine flavours of the Alentejo region’s gastronomy, with a touch of sophistication and refinement. 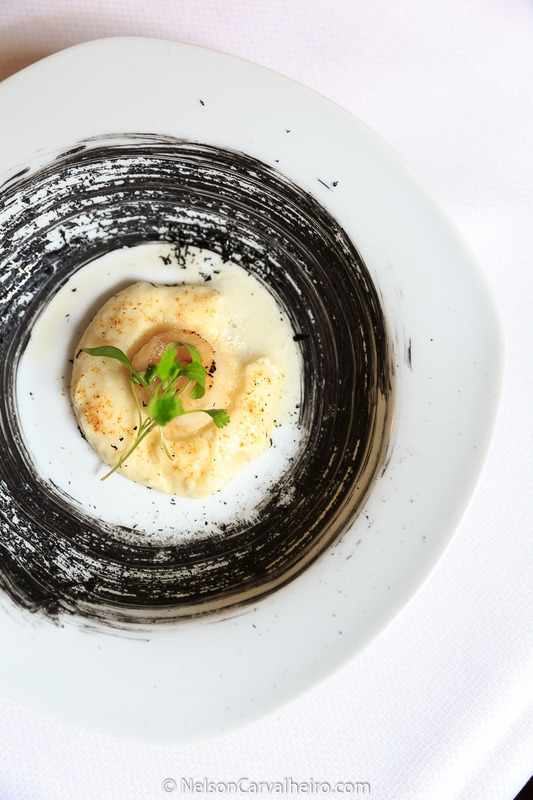 There is a new cusine attraction at Convento do Espinheiro called Tasta do Chef. 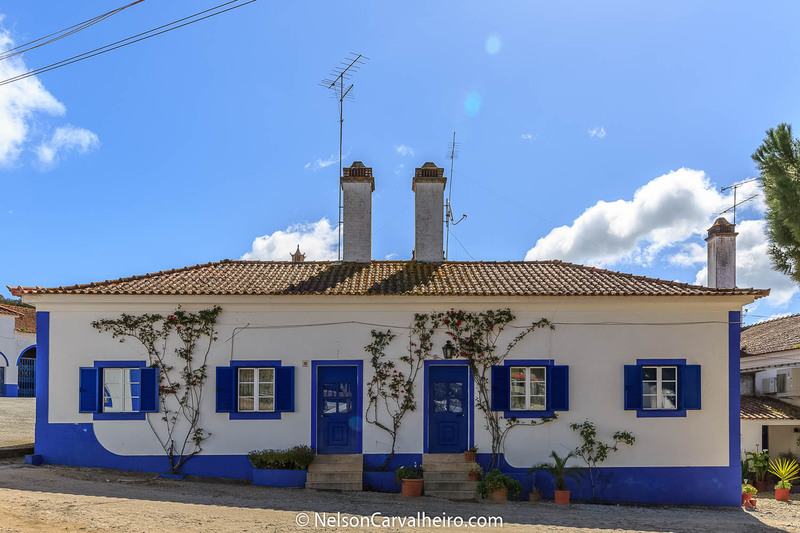 An old garden hut, which was transformed into a traditional Portuguese eatery serving Traditional cuisine typical from the Alentejo. 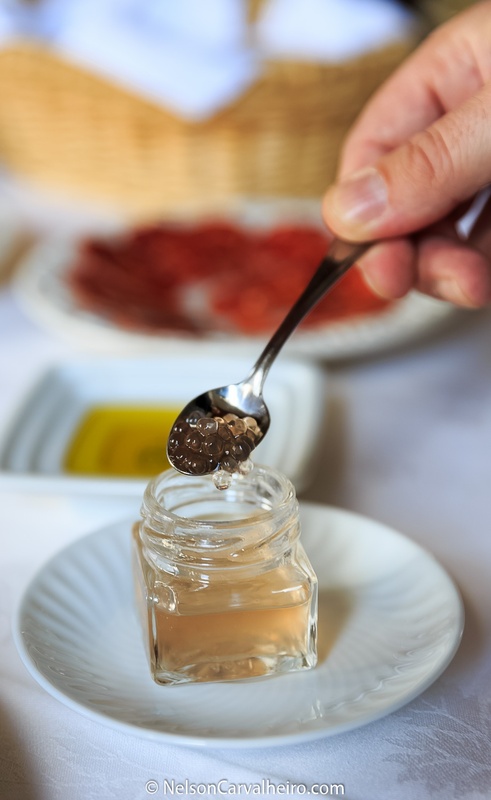 It is located next to the convent’s garden, where chef Bouazza produces no fuss heartwarming dishes like cold gazpacho soup, fried black pork cubes, and homemade sericiaia. Also, don’t for the pool at sundown, especially in hot summer days. 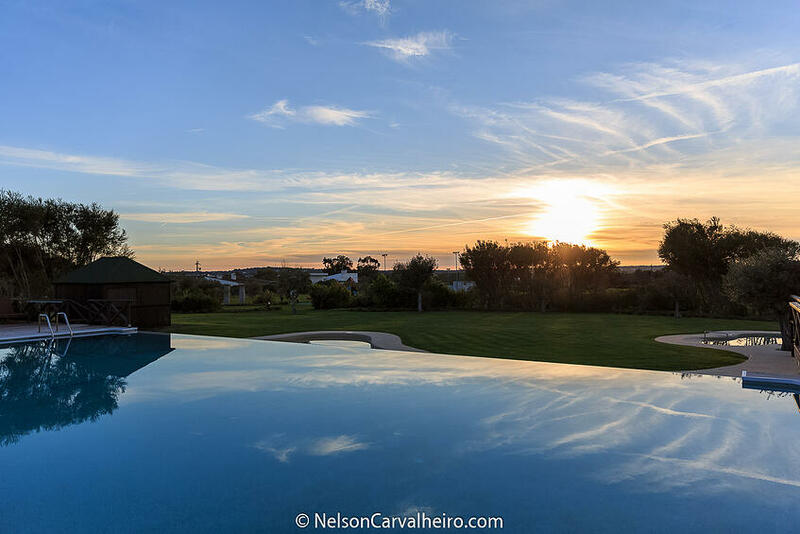 Herdade da Malhadinha Nova is located in Albernoa, in the heart of Baixo Alentejo and offers comfort and design in a relaxed harmony with its surrounding Landscape. 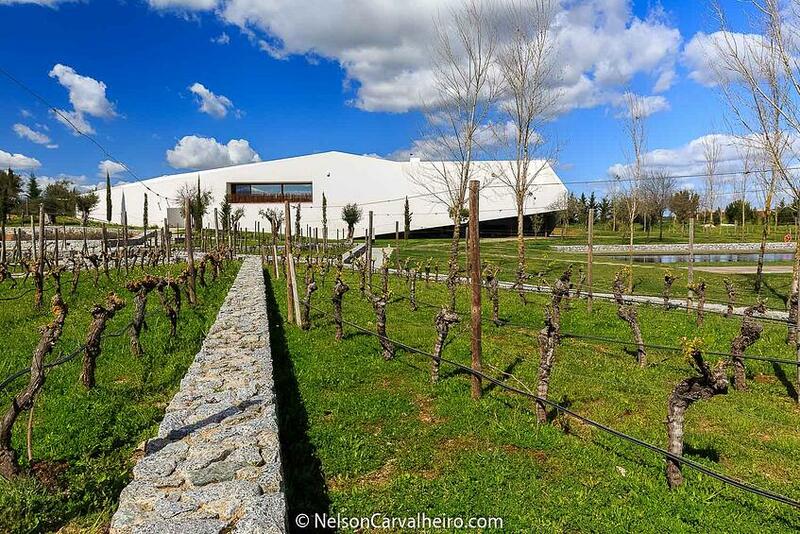 Even though it is the furthest of the Wine Tourism businesses when you depart from Lisbon, owner Rita Soares has set up her business in a way that her guests feel that the long journey was totally worth it. First she enforces a two-night minimum for all guests that stay with her. I was the obvious exception, as because of my tight schedule. I could only afford to stay one night. This was duly noted in the first line of conversation when she drops the hint that even the world’s most influential wine Guru Robert Parker, stayed for 3 nights. Rita’s idea was to create a sort of retreat, where its guests did not need to leave the property for the two nights they are her guests. 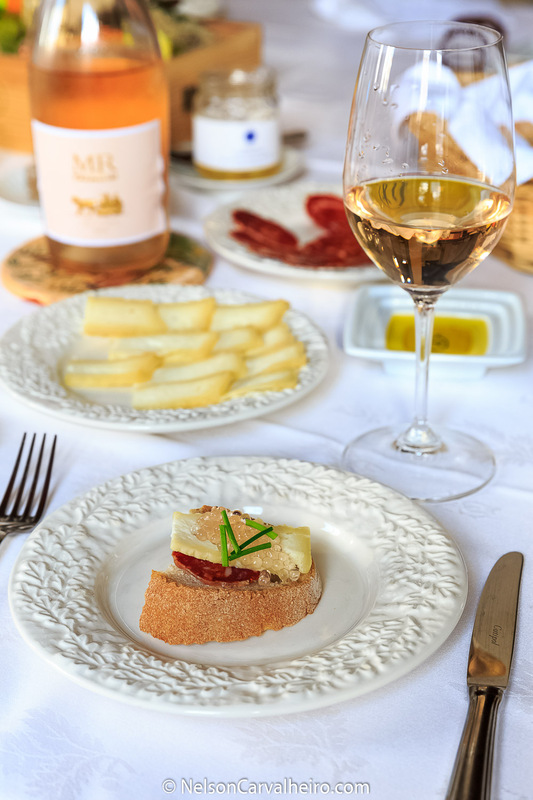 Beyond the 600 hectares that the estate occupies, the vineyards and the olive fields where guests can walk and have picnics. 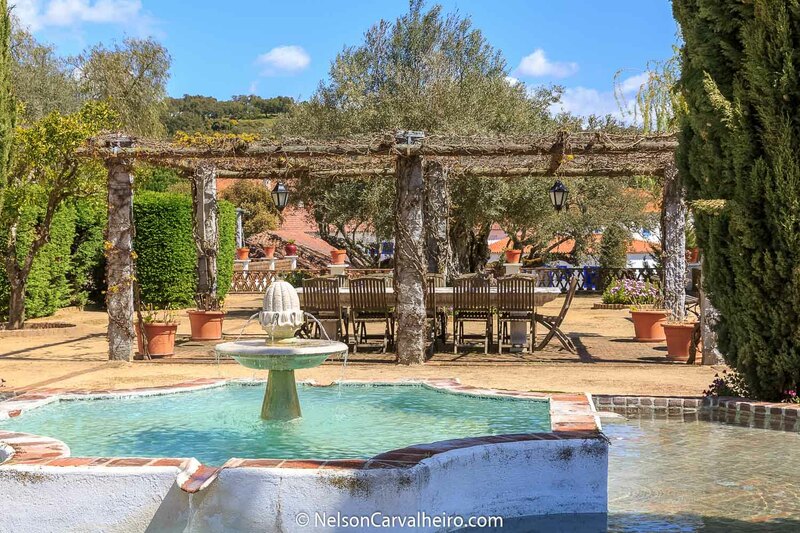 Herdade da Malhadinha produces its own olive oil, its own beef, and black pork, it has a respectable restaurant, a lusitano horse stable for those who wish to ride, a spa and plenty of bird watching lookouts. One can say that it is like a condensed Alentejo Theme Park. More so, its concept is based on offering experiences wrapped in the theme of wine, as well as Wine Tourism, Hotel, and Restaurant. 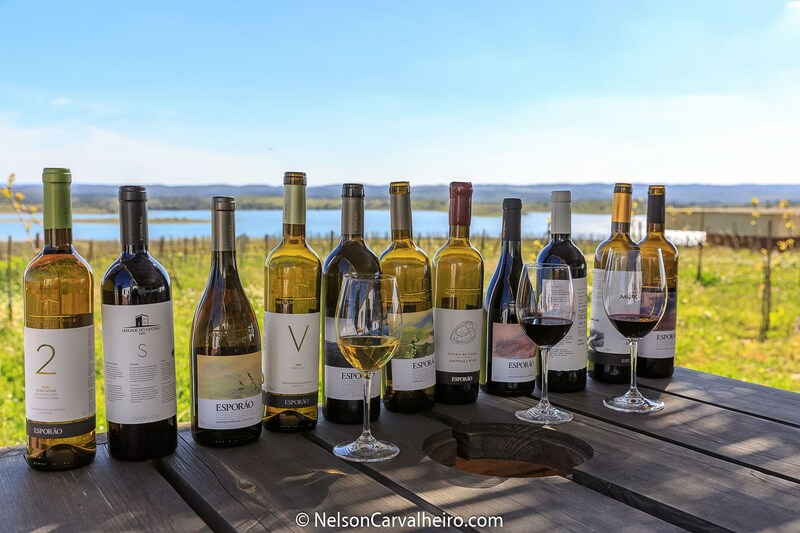 Wines are the Herdade da Malhadinha Nova ex-libris and reflect a huge respect for Nature and for all the passion and dedication taken for their creation. The vines were planted in 2000 taking now the total area of 33 ha. (81 ac.) - 27 ha. (66 ac.) on production and 6 ha. (15 ac.) of new vine. 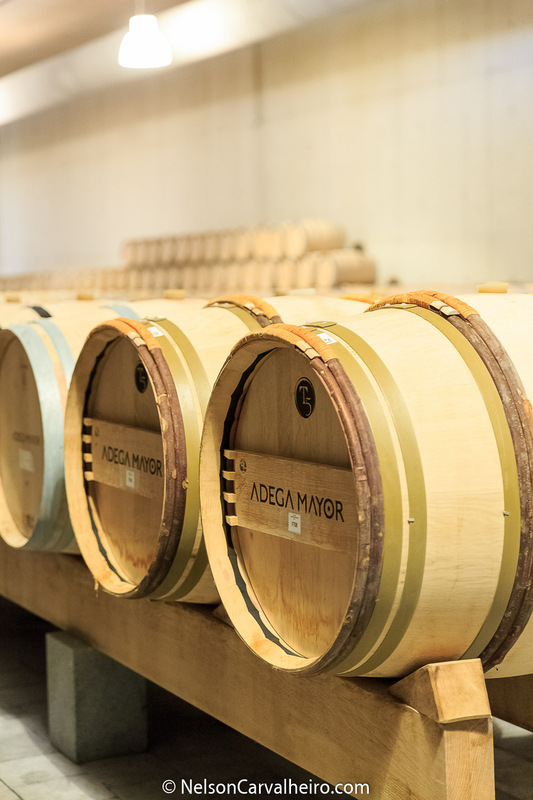 The ecotourism experiences and the modern Cellar, combining traditional winemaking methods with technology, are one of the best reasons to visit the Herdade. On top of everything they produce Monte da Peceguinha, my absolute favorite all time white wine of the Alentejo. In the heart of the Alto Alentejo, lost in time near the village of Vaiamonte, you will find this real treasure. 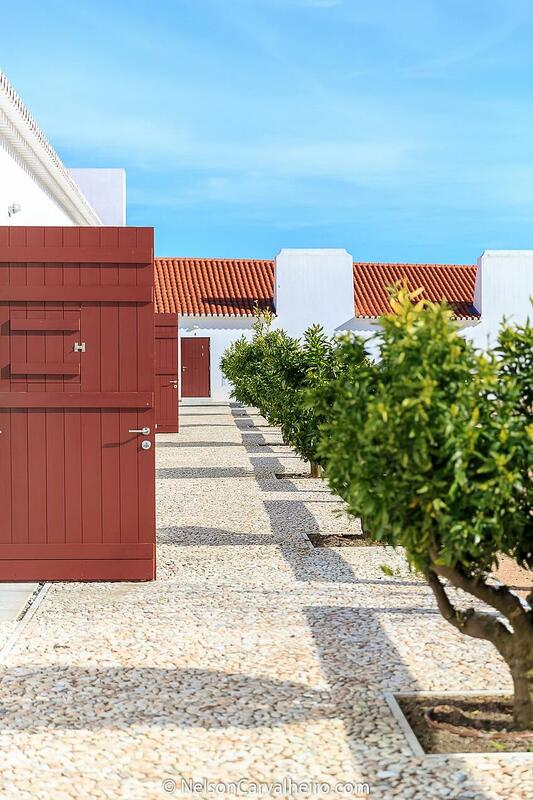 Inspired by the lifestyle of the distinguished Basilii family - the ancient inhabitants of the nearby Roman ruins of Torre de Palma - and by the Alentejo traditions, the Torre de Palma Wine Hotel is more than just a hotel, it was born to be a home in the Alentejo. 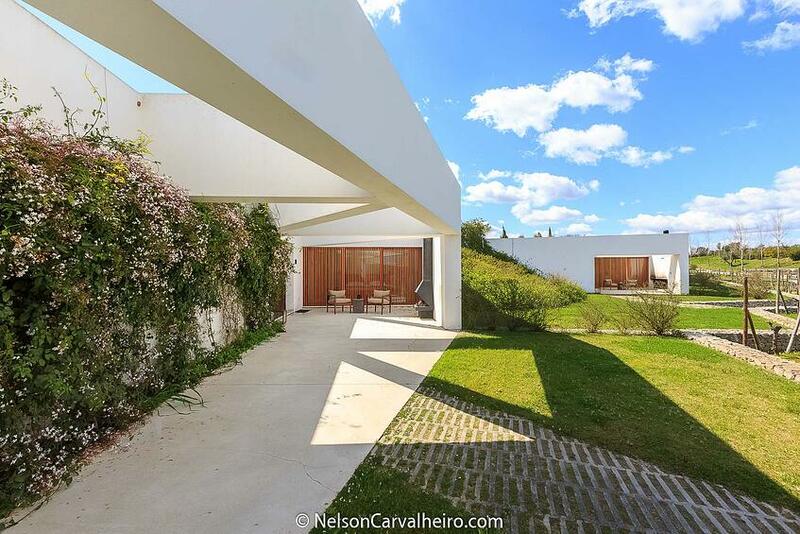 Owner Ana Isabel Rebelo reconverted this property in a way that merges tradition with the audacity of modernity. 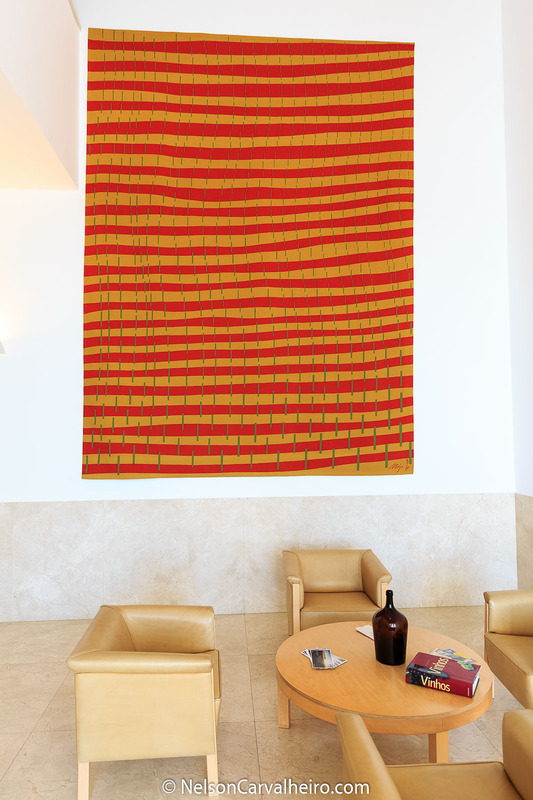 For this she employed designer Rosarinho Gabriel, who became famous for her work at the Areias do Seixo Hotel. She added interior style and persona to this hotel, although sometimes, it can feel that it is too much designed and less practical. Nevertheless, this is what makes it special and I have to congratulate them both for wanting to make such a distinct and self-conscious project in this remote region. There once was a tower here that reached up to the sky and gave this place its name. The views from its ramparts could not be more idyllic. At dusk, the sun slowly sets and lights up the sky, painting it pink and orange, leaving us with the peace that is typical of the Alentejo landscape. A few minutes later the inevitable happens, and we fall in love with Torre de Palma. 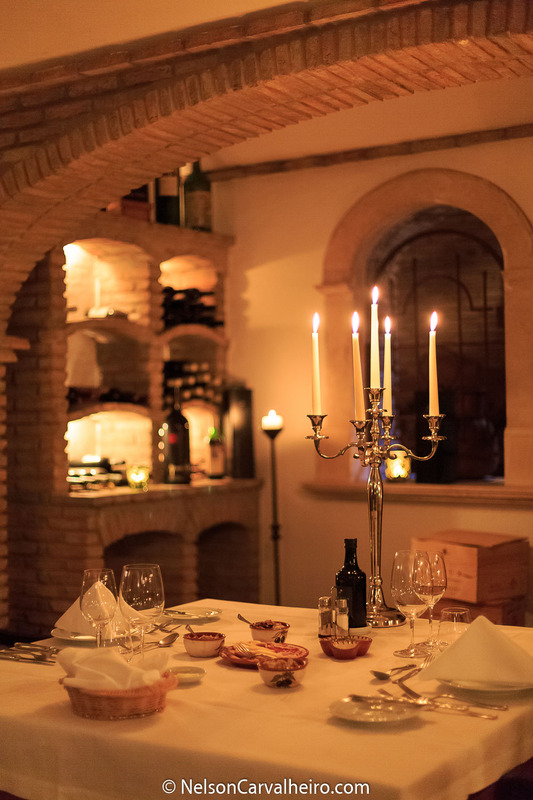 In a renovated manor house of the 14th century, the Torre de Palma Wine Hotel has been luxuriously restored and features simple and sophisticated lines. Dating from 1338, the views offered from this manor house made us dream and wish to make this a place you can enjoy. 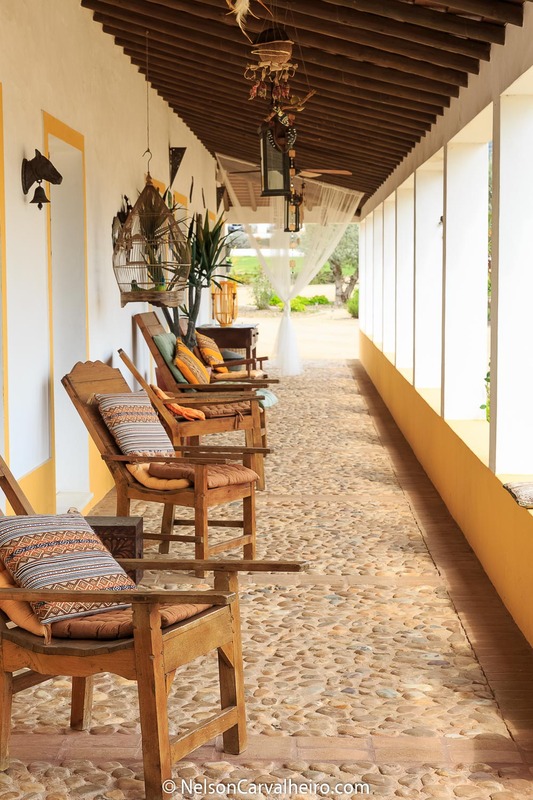 The Palm Tower Wine Hotel has19 thematic rooms in different Alentejo houses as well as a rural loft, an old barn and the manor house with the master suite. The hotel offers indoor and outdoor swimming pools, a spa and a wellness center, a library, and the Basili Restaurant. After a lot of hard work, this year the dream has become the reality with the birth of the Torre de Palma, Wine Hotel. All the places and corners of Torre de Palma, indoor or outdoor are cared. Is a place full of history and charisma, where we can find more than a relaxing and delightful hotel to be in. 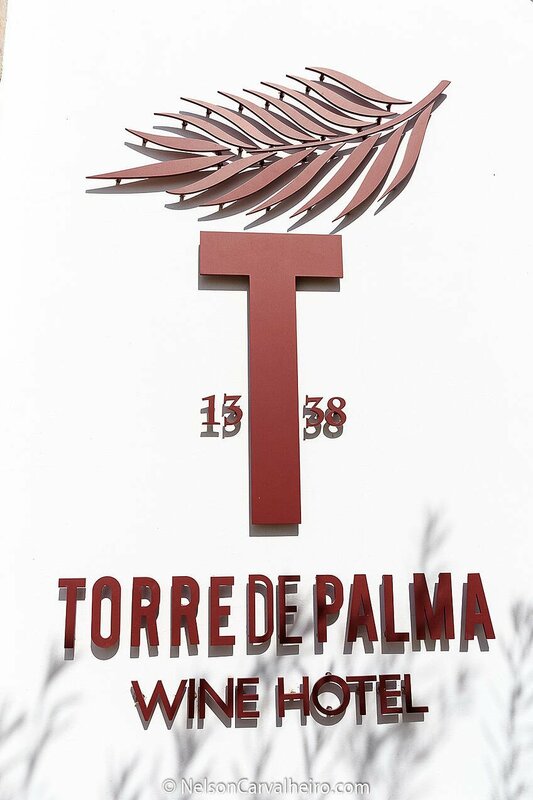 In the same aggregated manner of Herdade da Malhadinha Nova, Torre de Palma is a “destination” in itself. Because of their remote locations, they understood the need to add several layer to their product. 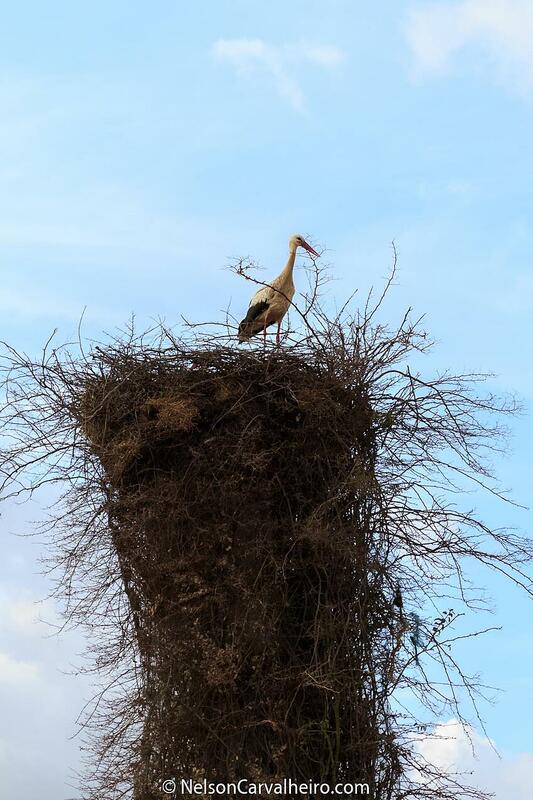 In the case of Torre de Palma, they take form in the walks around the estate, farming, horse riding, Star Gazing, birdwatching, spa treatments and Alentejo cuisine workshops. 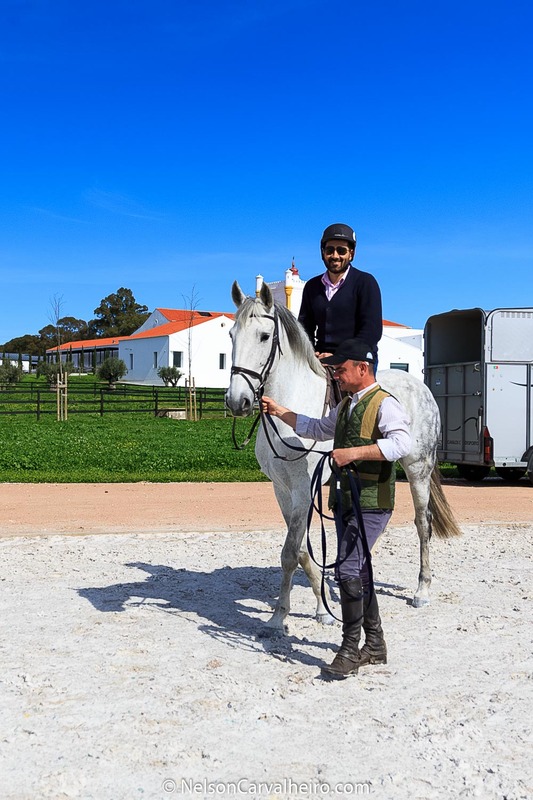 Although my visit at Torre de Palma was short lived I got to ride a Lusitano mare named Azeitona (more details bellow) and have a traditional Alentejo cuisine workshop with Chef Filipe Ramalho. We made Açorda Alentejana , where the garlic, red pepper, and pennyroyal infusion was made in a vacuum pot. A novelty, I admit, but clearly aimed at impressing the foreigners. Even more when he caramelizes the sardine loins with a blow torch in front of you. He also made me a reinvention of Sericaia with lemon sorbet, which was good, but made the mistake of filling the cocktail glass with Chantilly. Chef Filipe is very young, he is only 26 years old, and a talent to look out for in the future. I just wish his he tones down his kitchen “mavericksness” a bit. 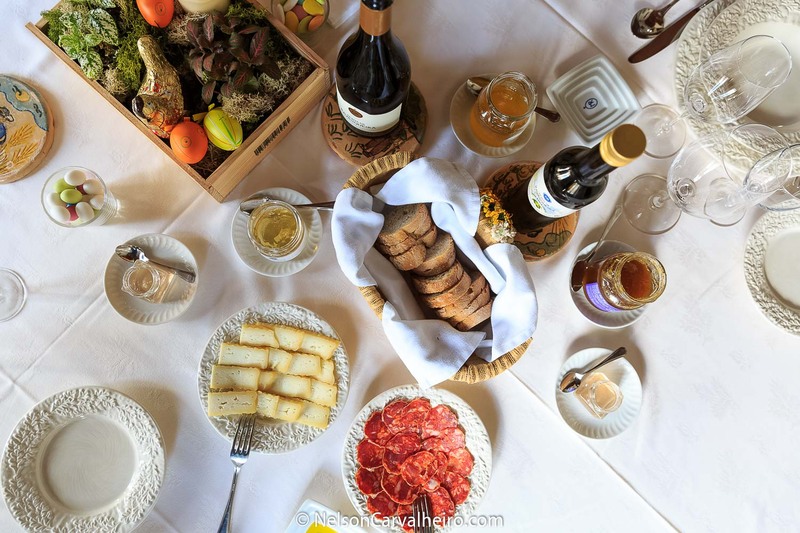 Evora has become the gastronomic heartland of the Alentejo and has identified itself as the ambassador for the cuisine from all the Alentejo, especially to visitors who come for just a few days while visiting Portugal. 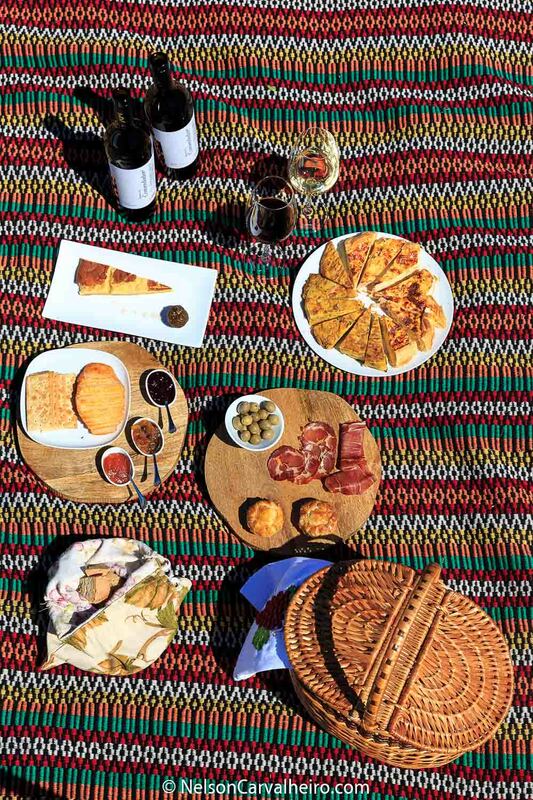 As with any nation that prides itself of its heritage food it always pairs it with Alentejo wine. No other possibility exists. Before tourists came just to spend the day, now they come and stay for three or four. 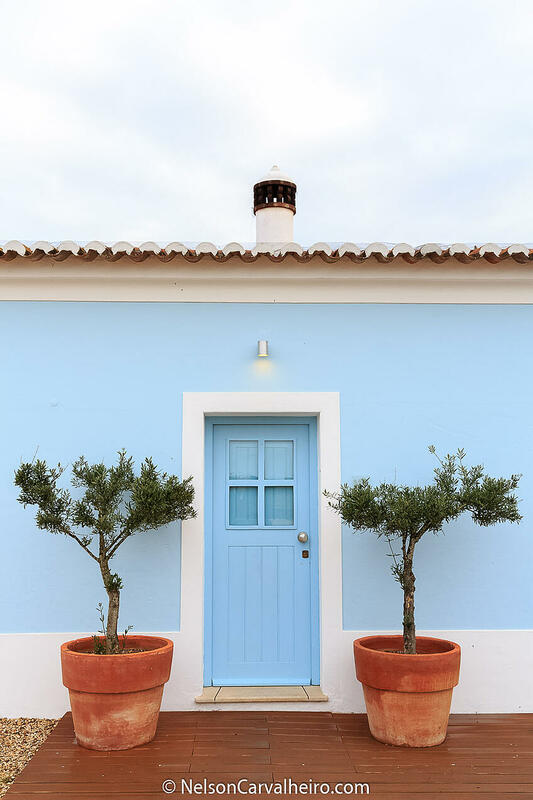 It is no longer visited only the city of Évora, were discovered the charms of Vila Viçosa, Borba, Monsaraz, not to mention the Alqueva or the Alentejo coast. This high demand allowed that the regional gastronomy differentiates itself and has entered in the most elaborate kitchens, something that is possible due to the wealth of pre-existing dishes. The challenge in turning "poor food" in something with the worldwide recognition of "haute cuisine" was finally achieved. 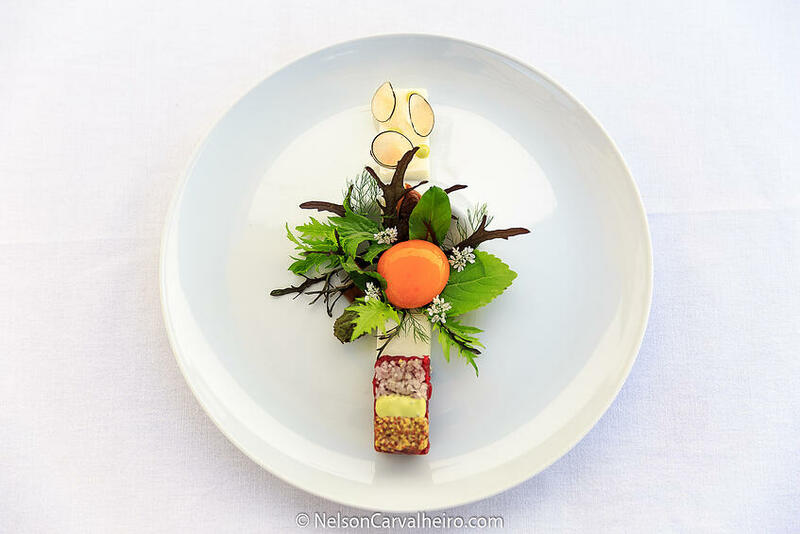 In order to dissipate all doubts, L’AND is by far the best restaurant in Alentejo. I know that I am going to be crucified for this remark, especially when there are so many places which I have yet to visit (like Mercearia Gadanha), however this saying comes, not just from my personal experience, but from conversations I have had with fellow colleagues over the last year. Before I further explain the previous statement, I would like to add another premise, as it is necessary to make my point. The second bold statement that I would like to make, is that the L’AND Restaurant and Chef Miguel Laffan are one single entity. There is no L’AND without Miguel and Miguel cannot live without L’AND. The deterrent evidence of this theory is L’AND’s Michelin Star achievement in 2014 and its subsequence lost in 2016. It was Miguel who gave the Alentejo a Michelin Star and it was his absence from L’AND that ultimately lost it. I didn’t know Miguel before our dinner, neither I had ever tasted any of his work, but somehow I always sympathized with him. 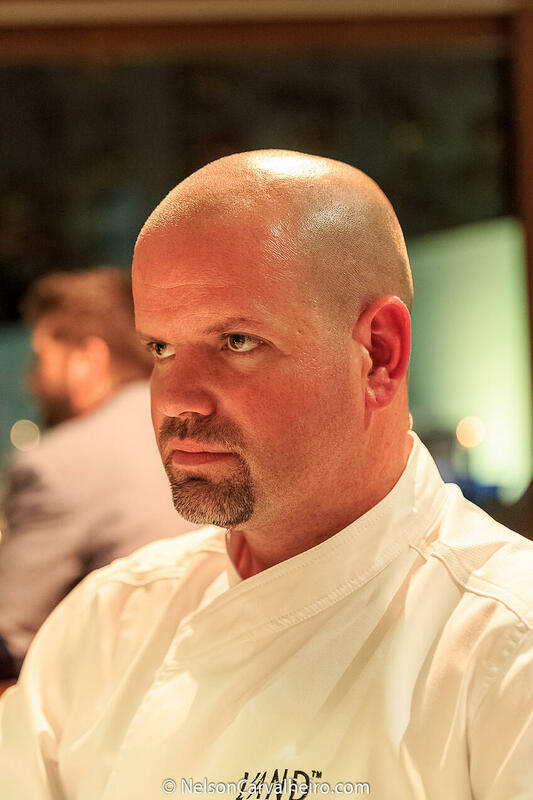 Pretty much the same feeling like I had with Ricardo Costa, from The Gastronomic Restaurant at the Yeatman or the feeling I have for Chef Cordeiro (whom I have yet to meet). Miguel’s greatest achievement, and what the critics didn’t understand when they kept hammering him with the “why did you lose the star” question is that this guy managed to put Alentejo Food on the map. His cuisine is almost 100% based on Alentejo and Portuguese produce, techniques, flavors and most of all Miguel’s genius. What he did, was take this rough, peasant feeding cuisine and bring it to its fullest splendor. Gaining Michelin Star with resource to French and Italian inspiration is easy, but to take a regional Alentejo product like Cabeça de Xara - a pate made from the soft pieces (not the brain) of a pig’s head, which he makes himself in the restaurant, and turn it into a fine dining is somewhat of an achievement. Especially when you top it with langoustine tartar and serve it with fennel pure, and bergamot. 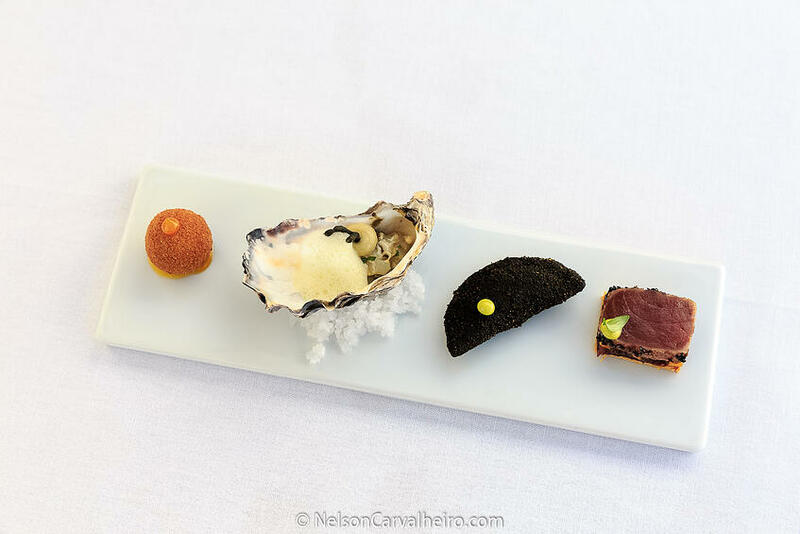 This is a prime example of the creativeness that Miguel has brought to the Alentejo and what ultimately won it the Michelin Star. Also, this Michelin star helped in this international projection of the Alentejo as a wine and gastronomy region of global interest. And this is exactly what Chef Miguel Laffan does best, to be disruptive, yet conscious, to challenge the status quo, while respecting the culinary heritage, to make you play catch up with the multiple layers of flavors which his dishes keep delivering in your palate. The same thing for the Alentejo steak tartar pictured bellow, which is served with fresh mustard seeds, a parmigiano-reggiano fondant and slow cooked egg yolk. Even something so simple as a Pork neck is plated with miso and paprika, green asparagus and citrus fruit. Our dinner lasted for over 3 hours, and we were joined half way by Mario, the L’ANDs GM. Rather than taking photos of the dishes and notes about what I was eating and drinking, I listened to Miguel. I did no judge him, evaluated him or asked him any silly questions, or even interrupted our moments together to post something on Instagram, I just sat there and observed. I observed the man who is not a natural from the Alentejo, but loves this land like if he had been born here (which is the case of Mario). A Chef which is humble enough to ask if he could address me in the first person 5 minutes after we sat together. A fellow food lover who rather than shoving his pride down my throat, enjoyed the food and wines we were served as if he was me, a first timer at his restaurant. And finally, the three of us enjoyed a sumptuous time together, taking about everything in life, calling mutual friends (this means you Jorge) and just being three Portuguese man at the table. The fact of the matter is that now Miguel is back to L’AND and an almost certainty that the award will be back on the table in 2017. 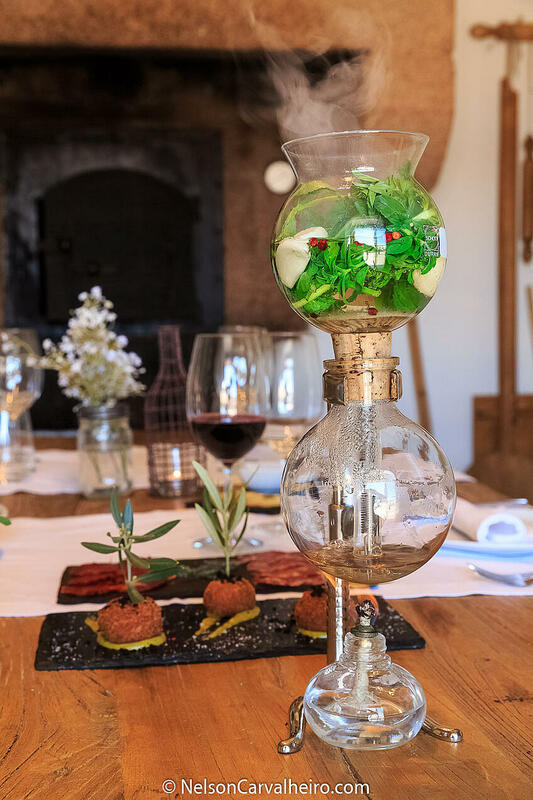 Inside this 15th century monument, the Divinus Restaurant is located in the old cellar of the convent, where the symbiosis between history, authenticity and gastronomy is perfect. 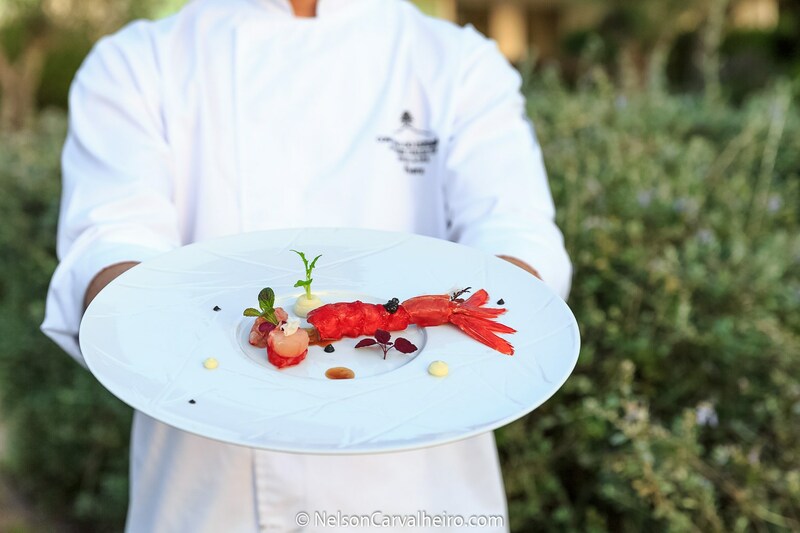 Chef Bouazza interprets the Alentejo cuisine with great passion, taking it as his starting point of the original recipes of this gastronomy and treating each delicacy as unique. 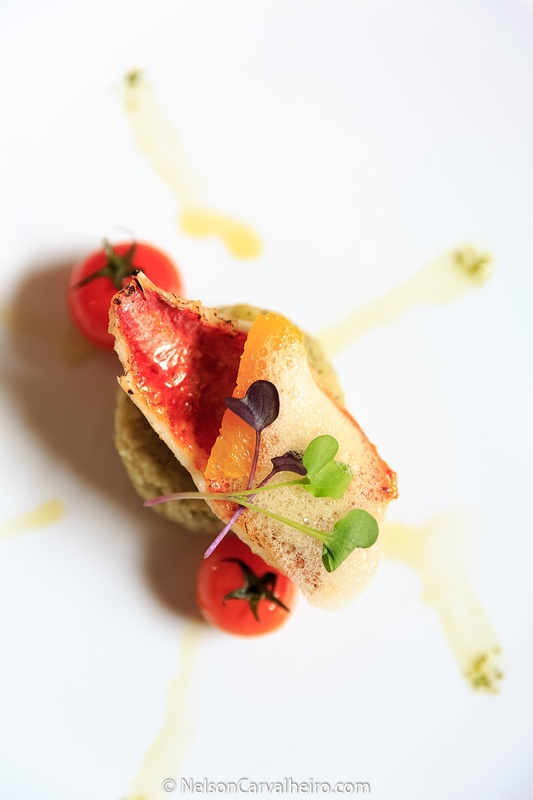 On the other hand, he challenges the imagination and creates his fusion dishes inspired by the Alentejo. The Divinus' menu is divided into traditional and author cuisine; the choice is not easy as you can choose soups and stews, "migas" and "migalhas" (crumbs) or opt for the traditional snacks, but privileging every moment the use of certificated and indigenous products. Combined with an excellent service, sympathy and a wine list with huge references at a national level, the Divinus Restaurant is indeed a divine experience. I have known Chef Bouazza Bouhlani for some time now. 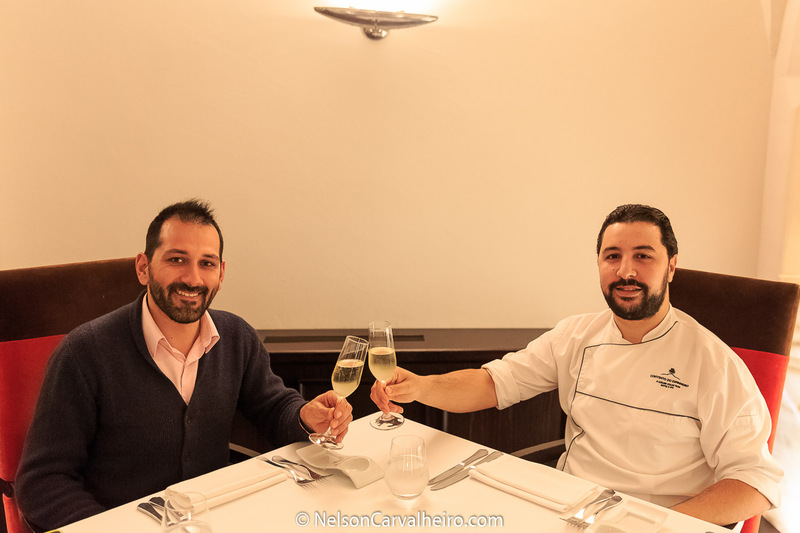 Even though I only meet in Person when we showed up to shoot some dishes for my Portuguese Travel CookBook in 2014, I had dined at Divinus on two occasions before. 2012 and 2013. 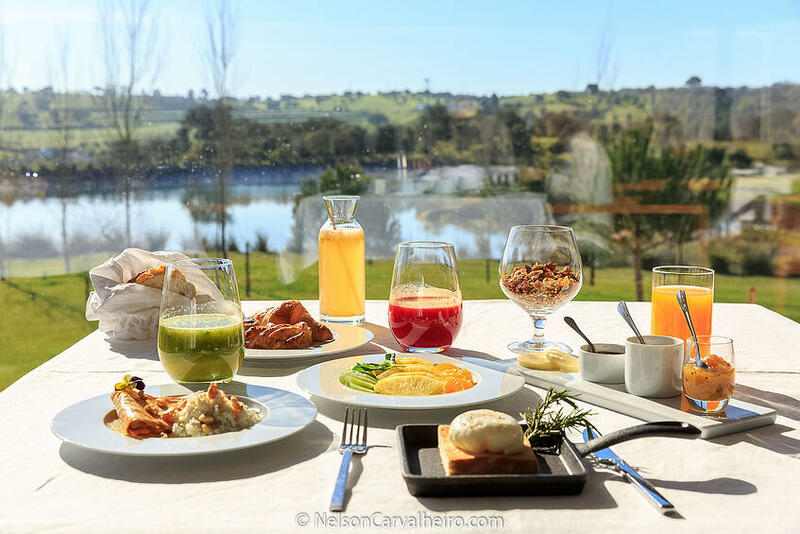 There was always something special about the food I tasted here, and it was not only because the restaurant is inserted into the 15th century reconverted Convento do Espinheiro Hotel. The presentation has always outshined the pastel tones and silenced atmosphere the hotel. I mean, some of the arrangements I have eaten were beautiful masterpieces of art. This disruptive someone was Chef Bouazza, a Moroccan national, raised and educated in the culinary arts in Portugal. 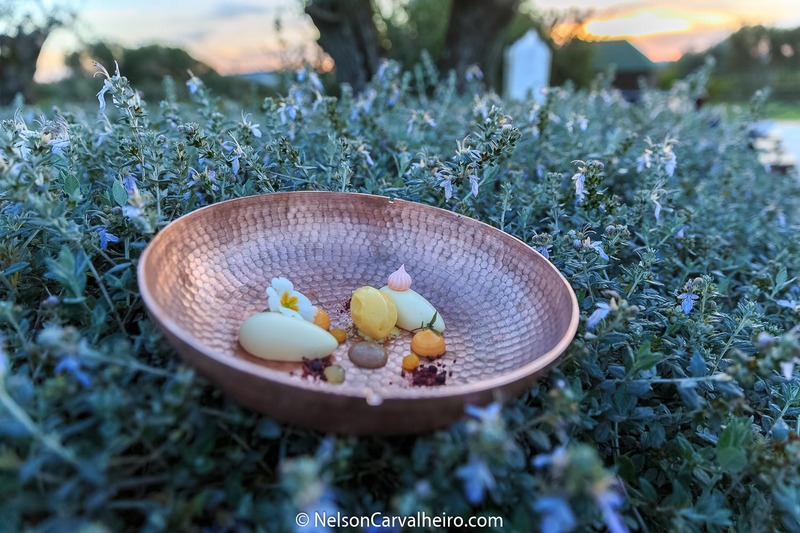 Before we sat down to enjoy his brand new Summer/Spring menu, I challenged him to photograph some of his new courses in the Gardens of Convento do Espinheiro, as I believe they would shine even more in the twilight of an end of day in Alentejo. Also, I was tired of shooting food inside a restaurant, and from looking at the photos, I am happy I did so. 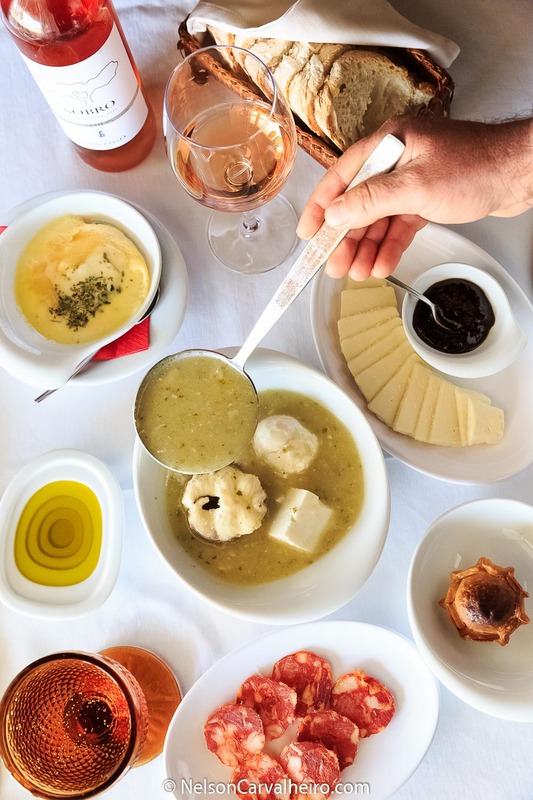 Maria Carapinha, the director of the Convento do Espinheiro tells us that "the magic of the Alentejo cuisine is to create, with simple and traditional products, dishes where the taste and the pleasure of eating be a cultural act. Since the olive oil and Galician Cordovil to the flesh of mounted, since the Guadalupe bread to the flavorings that grow spontaneously in the torrid Alentejo plains ... Of olive oil and Galician Cordovil to the flesh of mounted, of Guadalupe bread to the flavorings that grow spontaneously in the torrid Alentejo plains ... Chef Bouazza Bouhlani and his brigade make science. "Because this kitchen requires love, imagination, and art, it is with great pleasure and excitement that we have prepared this table so that with your friendships, affinities and sympathies you have a memorable meal", assures Maria. 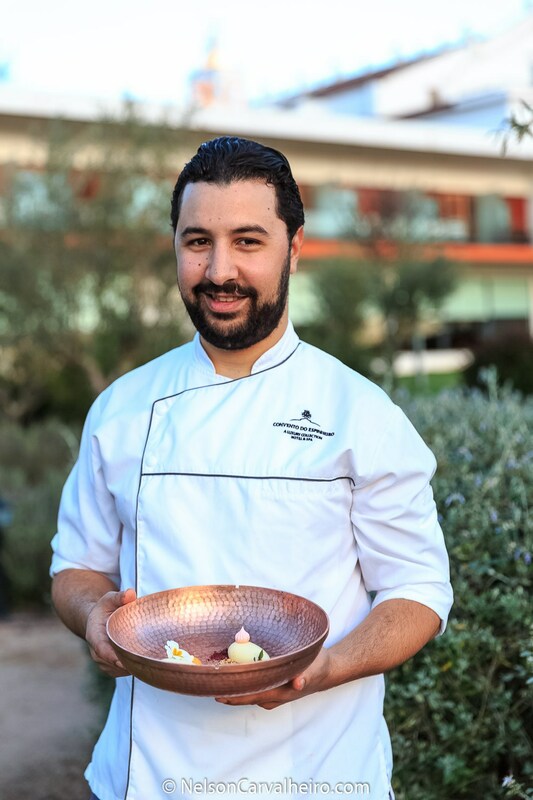 Located on the ground floor of the Sepúlveda Palace building, the Degust'AR restaurant has the gastronomic signature of the Chef António Nobre. 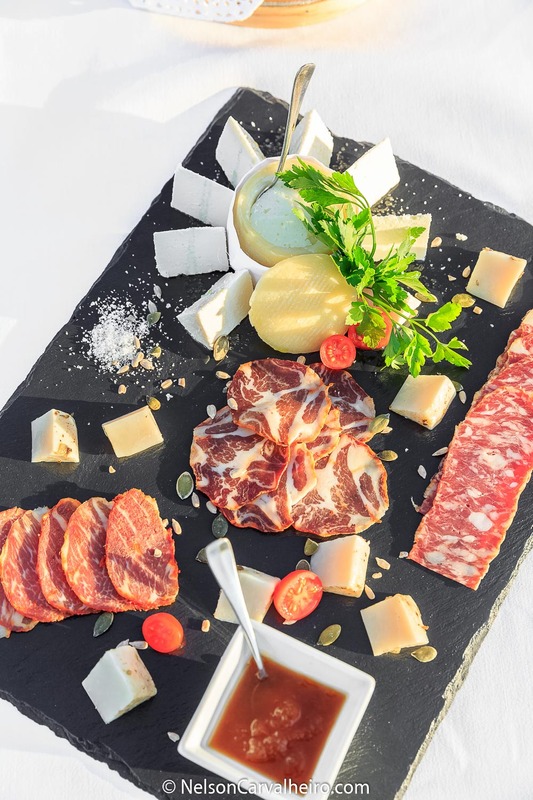 The menu has as its starting point in the Alentejo cuisine, and the Chef develops his creative inspiration by exploring the Mediterranean flavors. The atmosphere is refined, comfortable and intimate. The vaulted ceilings, the horseshoe arches and some frescos on the walls, give the restaurant a unique and special character. 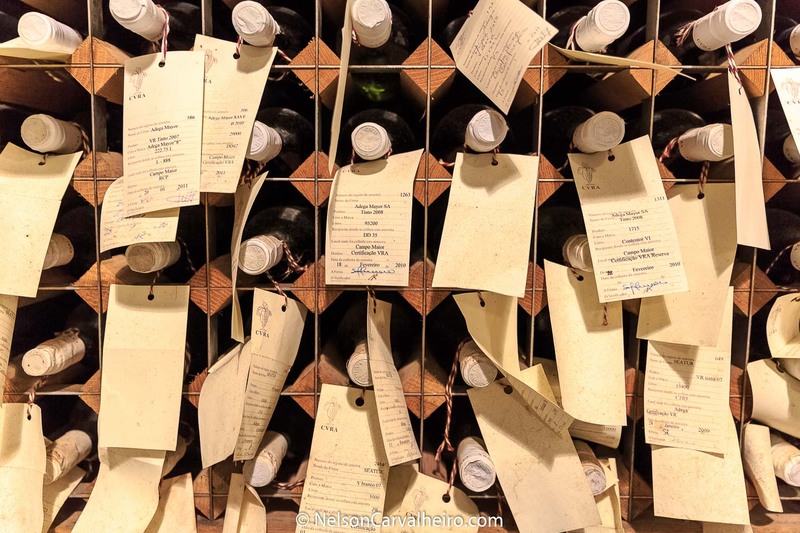 The restaurant has a reception area with a bar, and a cellar where you can find the nearly 150 wines that make up a wine list where all regions of Portugal are represented. 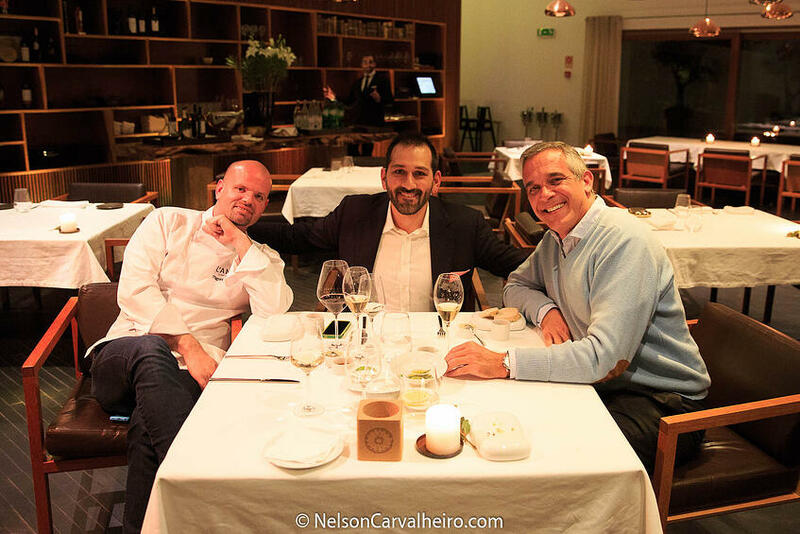 Sadly, Chef António Nobre was not there to welcome me as originally arranged, but his Sous Chef Tiago Moreno was kind to accommodate my appointment. It was a Sunday afternoon and I arrived early, so the place was naturally empty. In one of the corner side rooms, next to window so I could photograph better. 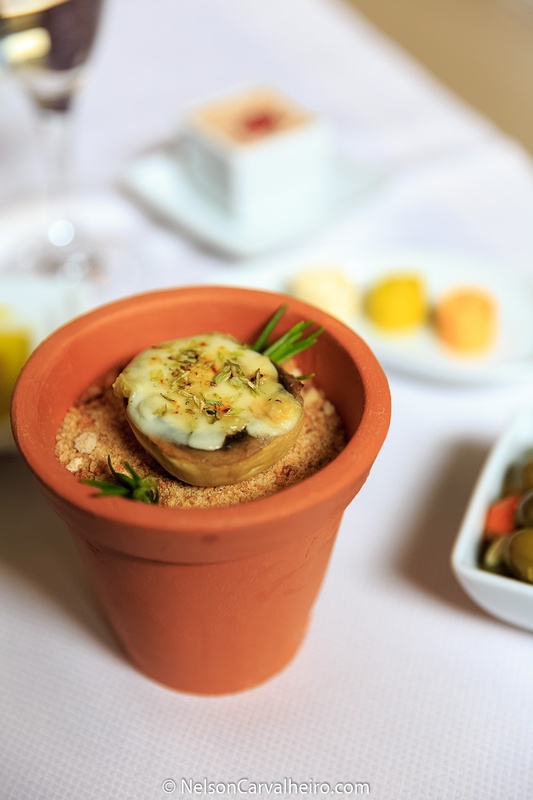 First up was the amuse bouche, a braised head of mushroom with oregano and cheese served in a clay pot. It its meat to be eaten with the fingers, so don’t make a fool out of yourself like I did, by trying to eat with a knife and fork. The first starter and my preferred choice was a seared scallop atop a cauliflower pure and seafood foam. The black ink you see is dried ink from cuttlefish. Although this dish has very little to do with the Alentejo, I enjoyed it because it was fresh, simple and to the point. The second starter was filling of crab inside a puff pastry cake and Alentejo lettuce salad. The crab cake was good, and something I wish one could get on the go at a local snack bar with a cold beer. The fish course was a grilled loin of red snapper with orange supremes and pennyroyal Migas (breadcake). This was the dish I liked the least. Although the snapper was fresh, the amount of breadcake was just too much. Also there was not so much pennyroyal flavor. 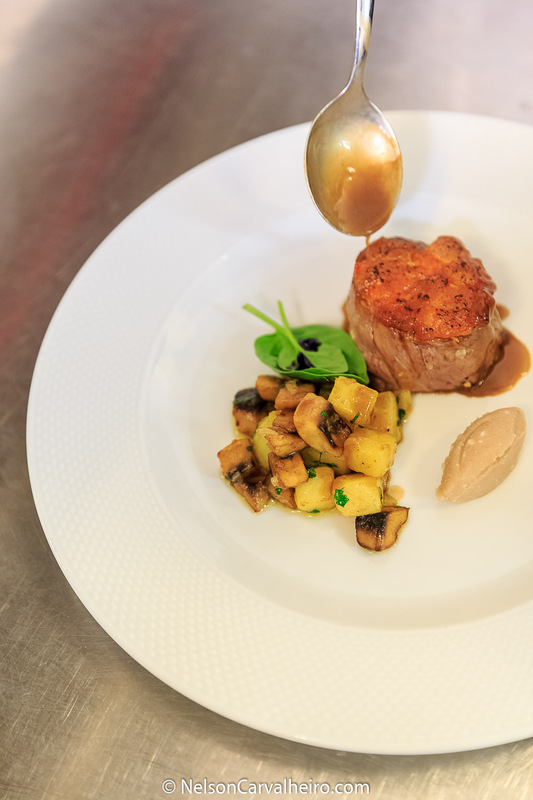 I made my comments known to Sous Chef Tiago and decided to join him the kitchen as he made my meat course: Mertloenga Veal sirloin, with a farinheira cust, potatoes and wild mushroom ragout and chestnut confit. The meat was super tender, and this was the first time I had tasted beef from Mertolenga cattle. Very juice. The farinheira added an extra level of smokiness to the place and complemented the softness of the meat. The ragout was also very good, a bit too simple for such a noble cut, but it worked nethertheless. 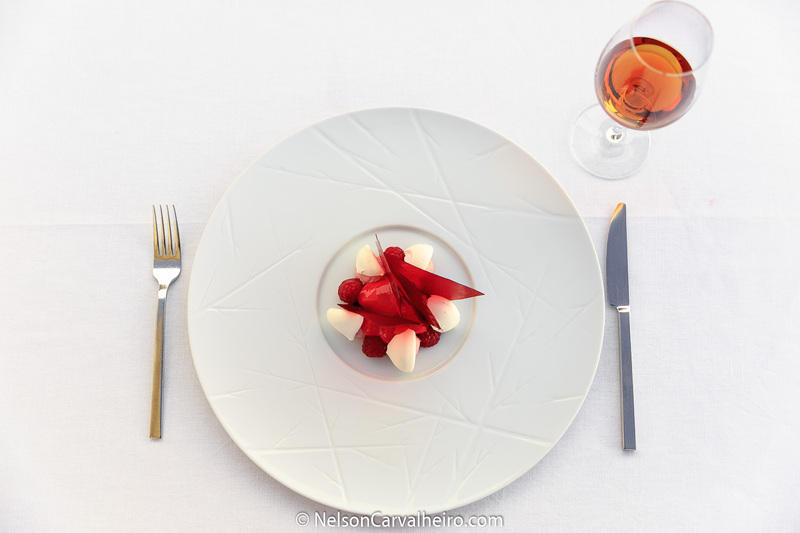 The chestnut confit was served cold and contrasted the whole dish. Also, it is spring and chestnut is an autumn produce. Overall very good effort by young Sous Chef Tiago Moreno who had to make my lunch happen in no time. 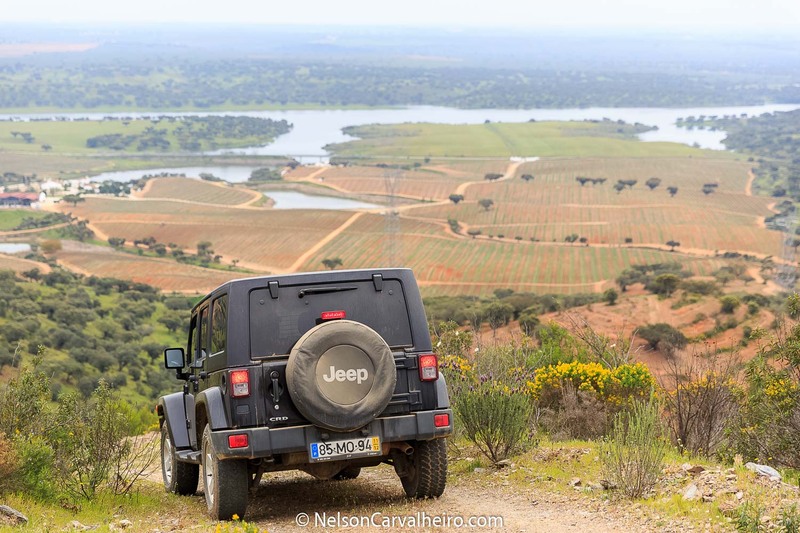 Connected to José de Mello's family for several generations, Monte da Ravasqueira is located in the municipality of Arraiolos, one hour away from Lisbon, and covers a vast area of the typical Alentejo landscape. My favorite wine of Monte da Ravasqueira - MR Premium 2013 Rosé. 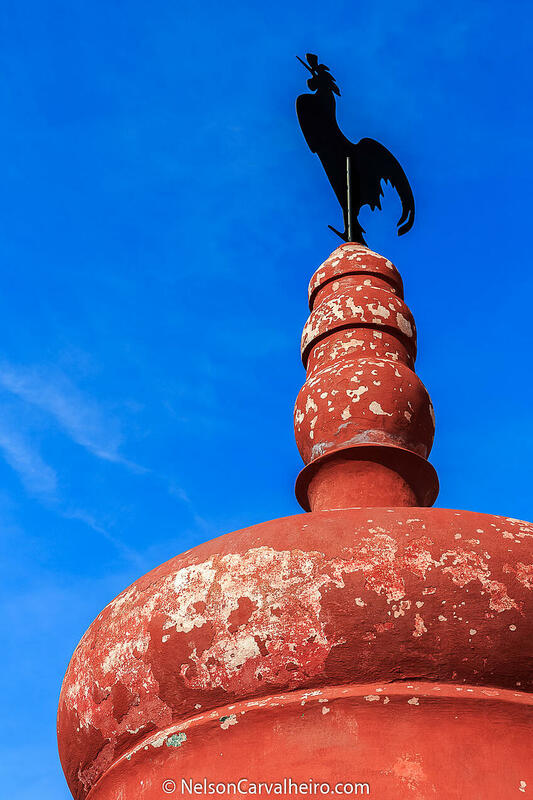 At the top of the hill where, since 1482 there was a chapel of Our Lady of Grace, founded by the great-grandmother of Vasco da Gama, it was considered fundamental to shut the defensive circuit of Elvas square. The Count himself Lippe was in charge of designing the fort that was begun in 1763. The effectiveness of this strong, that held about 80 mouths fire and was considered impregnable, required for its defense from 1000 to 1200 infantrymen, 200 100 artillerymen and miners. Wells circling fortification and underground galleries, driving some out of the fortress, are some of the elements that are equipped with the complex defense systems that have been designed and are in Lippe Fort. It is really a masterpiece, considered a pinnacle of military architecture of the century. XVIII. It has even been said that the art of fortifying sold out here completely. Originally bred for war, dressage and bullfighting, Lusitanos are still used today in the latter two.